In my opening of "Spreading the Wealth to Obama's Ultra-Rich Jobs Council" series I had stated, “the "Too-Big-to-Fail" Citigroup, a TARP recipient received $45 billion in government bailout funds,” however, CNBC tells a bigger story, and recently announced them as the number one Big Bank to snag federal aid, “In total, Citigroup received $476.2 billion in cash and guarantees." The chatter surrounding President Obama's choice to replace Timothy Geithner for Treasury Secretary, Jack Lew, now Chief of Staff, hit the airwaves a while ago, sending attention toward the conflict of interest and obvious hypocrisy. Lew's short stint at Citigroup, his Cayman Islands fund, and accusations of Lew (as the president’s budget director) making "false" statements before the budget committee two years ago, should be cause for alarm. During his confirmation hearing for Treasury this month, Mr. Lew apparently faced "tough questions, but with few fireworks," says one reporter; yet the Huffington Post reported that Lew "maneuvered around questions... about his work at bailed-out bank Citigroup during the financial crisis, including his controversial investment in a Cayman Islands fund." According to Forbes, "Citi’s alternate investment group lay at the epicenter of the financial crisis. 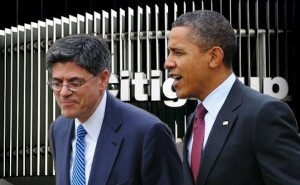 Under Lew’s tenure, it lost $509 million in the first quarter of 2008 alone. More than 50,000 employees, or one-seventh of Citigroup’s global workforce, were laid off in November, and the stock price dropped about 75 percent." 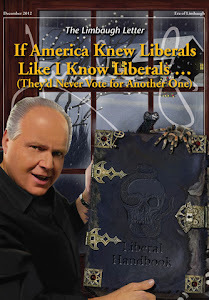 Forbes goes on, "Despite these horrendous losses, Lew was paid $1.1 million in 2008 for less than a year’s work," and Breitbart News recently pointed to more absurdity, Lew, was "a man who in 2009 bagged a $950,000 bonus after his bank, Citigroup, received billions in a taxpayer-funded bailout." 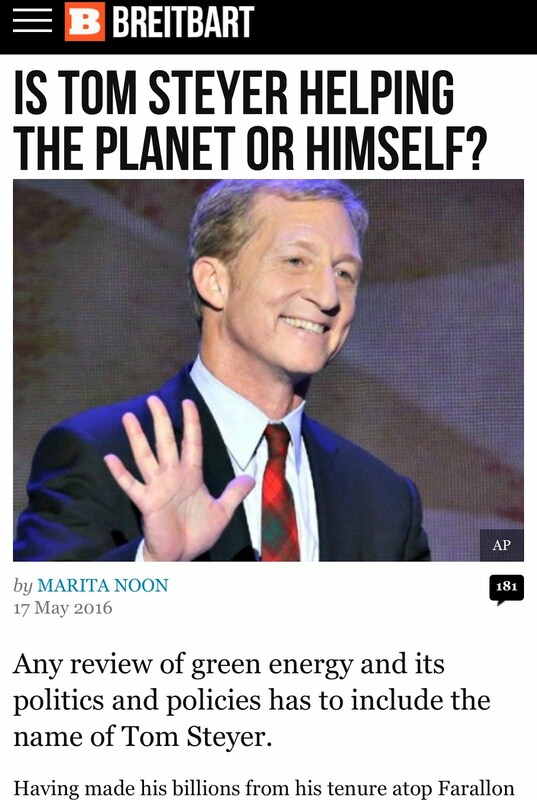 What most don't know is that since 2007, Citi has been heavily involved in "climate change activities" and have made a massive foot print inside President's Obama's clean-energy dirt –– transactions that tie them to approximately $16 billion of taxpayer money. 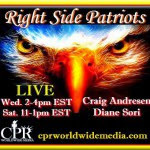 Citigroup –– labeled a “heavy hitter” by Center for Responsive Politics (CRP) –– in 2012 contributed to both President Obama and Mitt Romney, and "contributions from CITIGROUP PAC-FEDERAL" went to both parties: 47% to Democrats, 53% to Republicans, and among the 2012 Obama bundlers were employees of big-name firms including Goldman Sachs, Morgan Stanley, Barclays and Citigroup. 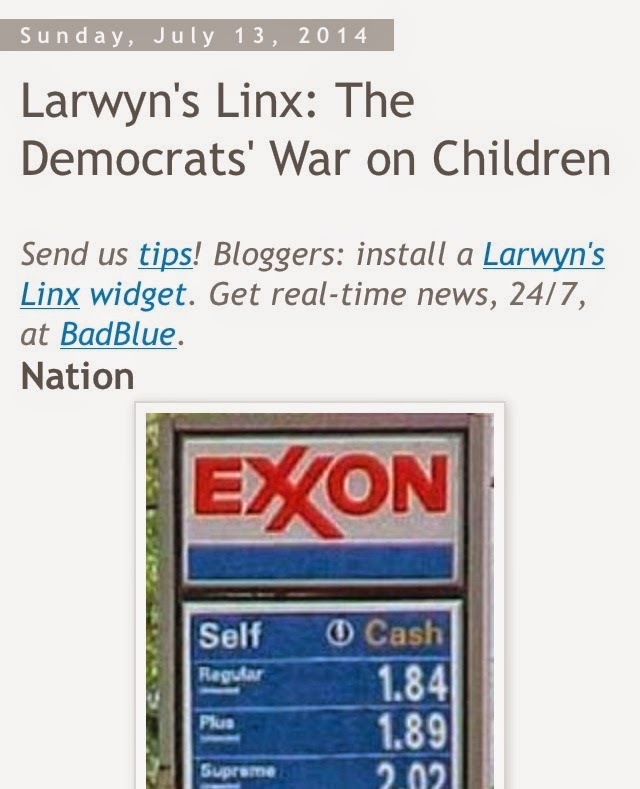 Yet, in 2008, it was primarily a "blue year" with 63% to Democrats and 37% to Republicans, and Citigroup made it as the #7 top donor to candidate Obama with a few executives lined up as campaign bundlers. Citi, also a major lobbyist, where “53 out of 63 Citigroup Inc. lobbyists in 2012 have previously held government jobs" with quite a few Citi executives like Mr. Lew holding key positions at the Obama White House. The infiltration of so many Citigroup executives –– and Goldman Sachs for that matter –– inside the Obama administration is amazing, even shaping his economic policy. They range from "chief of staff Jack Lew to transition team chief Michael Froman to a host of people connected in some form or another to former Citi executive Bob Rubin," alerts Matt Taibbi of Rolling Stone Magazine, starting with the outgoing Treasury Secretary, Timothy Geithner, who served under Rubin in the Clinton administration. Tucked neatly inside a corrupt government system is Mr. Robert Rubin, who, from what I gather, was also at the epicenter of the 2008 financial crisis. Rubin spent 26 years at Goldman Sachs, and from November to December 2007, served temporarily as chairman of Citigroup, and resigned from the company on January 9, 2009. But not without his cash, as Bloomberg Businessweek notes, "Rubin gave up a portion of his contracted compensation — and was still paid around $126 million in cash and stock during a tenure" that spanned through Citigroup's taxpayer funded bailout. To add insult to taxpayer injury, it turns out that at that time, in spite of the pitiful government bailout, "No Citi executives are replaced, and few restrictions are placed on their compensation. It's the sweetheart deal of the century..." says Taibbi. 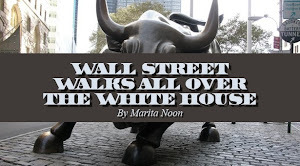 The scandalous Wall Street revolving door, which the Republican Party takes the hits for, is thick inside the Democratic Party, more specifically the Obama administration. Even the left-wing New York Times noticed the infiltration, "At its unveiling in November 2008, almost the entire Obama administration's economic team could be said to be made up of followers of so-called Rubinomics, and many of them had served under Mr. Rubin." Their significance is that "they collectively offer a microcosm of what the Democratic Party has come to stand for in the 21st century," writes Matt Taibbi. The "model for this Democratic Party: Let the rich do their thing, but give a fraction more to everyone else," says David Sirota, a former Democratic strategist. 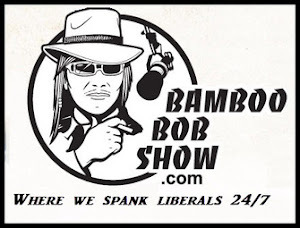 In late 2009, Taibbi lays out a compelling case on how Obama sold out to Wall Street –– "Obama's Big Sellout" –– "Barack Obama ran for president as a man of the people, standing up to Wall Street as the global economy melted down in that fateful fall of 2008." The Obama inspiration came from the "sense that a genuine outsider was finally breaking into an exclusive club, and they were voting for "'change.'" 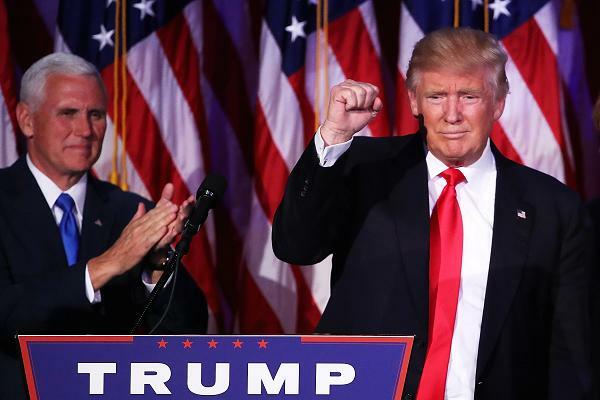 However, Taibbi seemed shocked, noting that it all began after Obama was elected in 2008, "What's taken place in the year since Obama won the presidency has turned out to be one of the most dramatic political about-faces in our history." Later he asks the question, "How did we get here?" 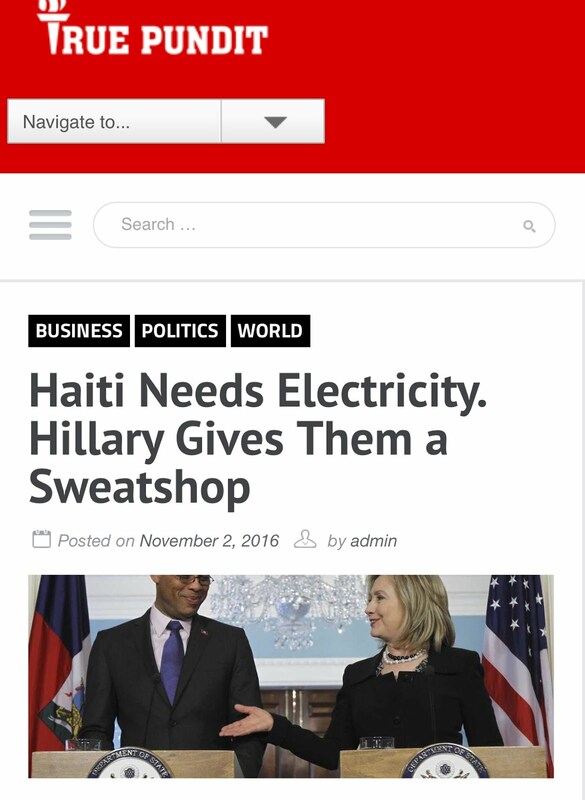 Yet answers, "It started just moments after the election –– and nobody noticed." 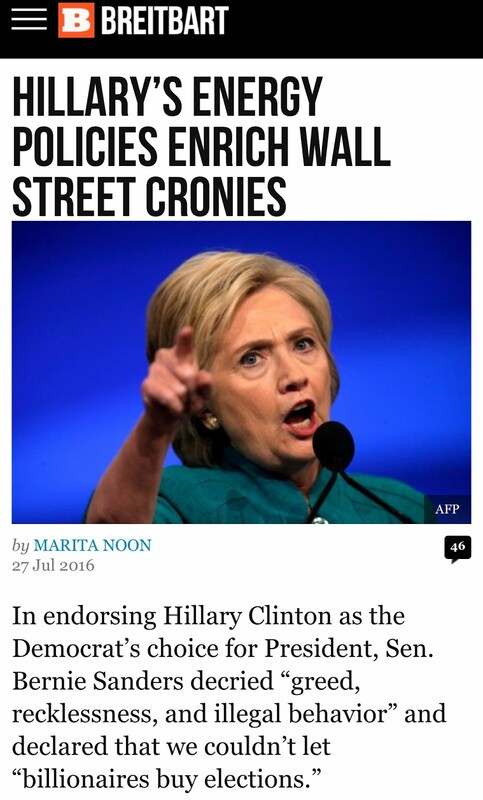 Obama had his fare share of Wall Street buddies who helped ensure an Obama victory in 2008, poring millions of dollars into his campaign coffers, making their mark as TOP campaign donors, with even Wall Street executives bundling huge sums of money for then-candidate Obama. Besides Citigroup, other bailout recipients made this special donor list: Goldman Sachs, JP Morgan Chase, and Morgan Stanley. Further down the line you'll find Bank of America, Lehman Brothers, Merrill Lynch –– the latter two indirectly, and so on. Meanwhile many of the executives running these enormous failures, were not only rewarded with "shameful" big bonuses but the Obama administration awarded them with jobs, commissions, stimulus money, government contracts, and more. "Hired with a recommendation from then-Citi executive and former Treasury Secretary Robert Rubin, Lew became chief operating officer of Citigroup's global wealth management division in July 2006. He later became COO for Citi Alternative Investments (CAI), a largely administrative role that was apart from investment decisions that hurt the bank," writes Reuters. 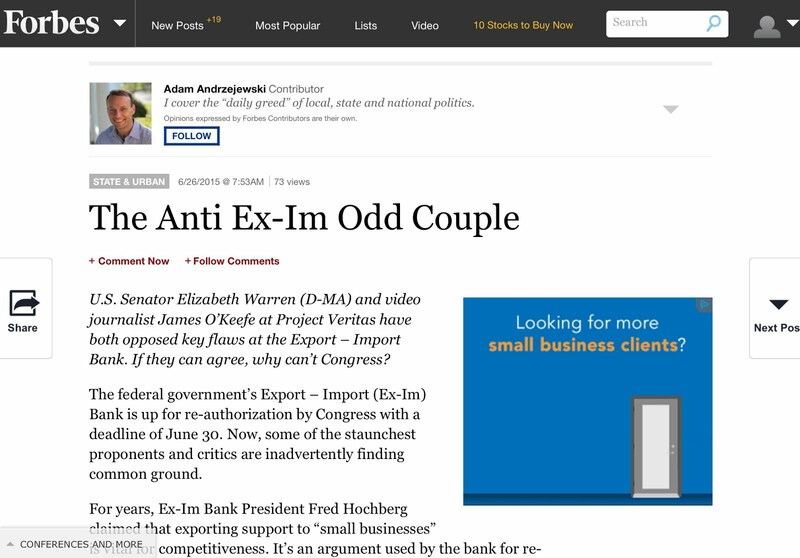 However, a Huffington Post writer says, Lew "oversaw a Citigroup unit that profited off the housing collapse and financial crisis by investing in a hedge fund king who correctly predicted the eventual subprime meltdown and now finds himself involved in the center of the U.S. government's fraud case against Goldman Sachs." According to CNBC News, Lew's brief time as COO of the CAI unit ranged from "January 2008 and held the position during the peak of the financial crisis, when Citi received a $45 billion bailout from the federal government. 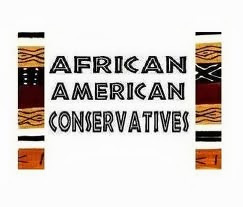 He left in early 2009 to join the Obama administration." BOMBSHELL ADDITION: Citigroup’s Man Goes to the Treasury Department, By Jonathan Well of Bloomberg News, February 21, 2013. 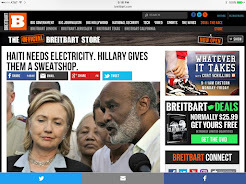 Furthermore, Breitbart News notes that Lew (a lifelong Democrat) –– "mostly a government man" –– is a long-time Hill staffer, who "headed the OMB in both the Clinton and Obama administrations." And that Lew "spent a few years as a private attorney in between administrations, working mostly on environmental and energy issues." 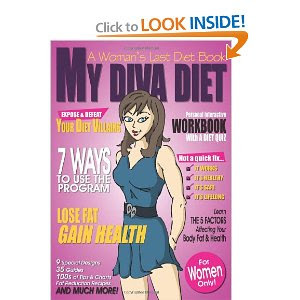 "By the end of December 2008 (or was it January 2009? ), Lew had lined up a new job: away from Wall Street and back in Washington as a deputy secretary of state under Secretary Hillary Rodham Clinton," records the Washington Post. Ironically, in 2009 President Obama had scolded Citigroup for its "plans to accept delivery on a luxurious $50 million corporate jet made in France," even stating at that time that "[he will] demand more accountability from recipients of bailout funds." Yet not a peep against the absurdity of Mr. Lew's $950,000 bonus "after his bank, Citigroup, received billions in a taxpayer-funded bailout." Prior to Lew's 2012 rise to White House Chief of Staff, in November 2010, he became the head of the Office of Management and Budget to replace departing OMB chief Peter Orszag (another Rubin protégé), who departed the Obama administration and joined Citi’s investment banking group as a vice chairman. 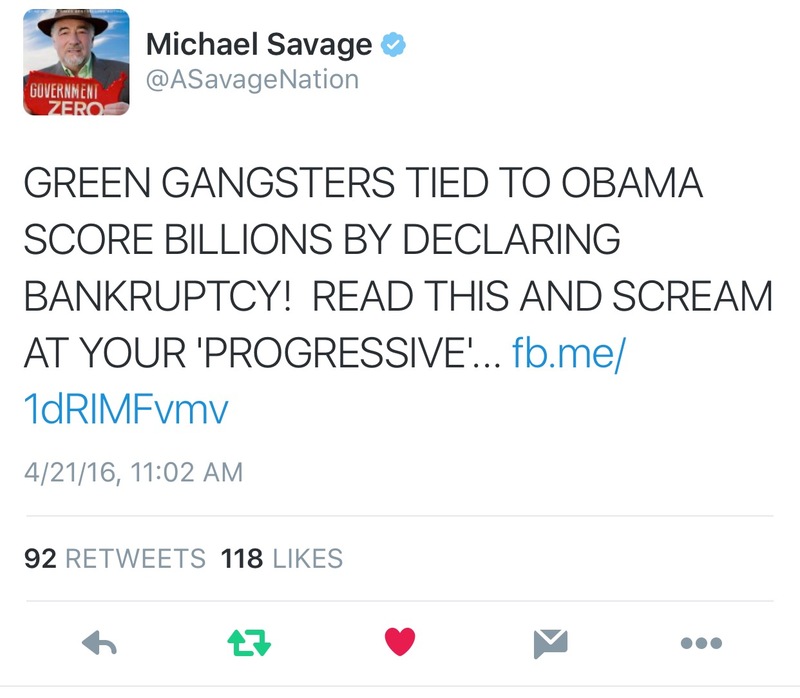 Note: This OMB post is very relevant to the Department of Energy loans and federal stimulus grant –– Green Corruption. From 1999 to sometime in 2009, Froman "served in a number of roles at Citigroup, including Managing Partner, Infrastructure and Sustainable Development Investments, Chief Operating Officer of Citi Alternative Investments (CAI)," etc. During the 2008 presidential campaign, Froman served as an informal adviser, raising money and helping to secure endorsements. In fact, “Michael Froman, a close college friend of Obama’s, managed Citi’s alternative investment portfolio until he left for a top White House post in 2009. 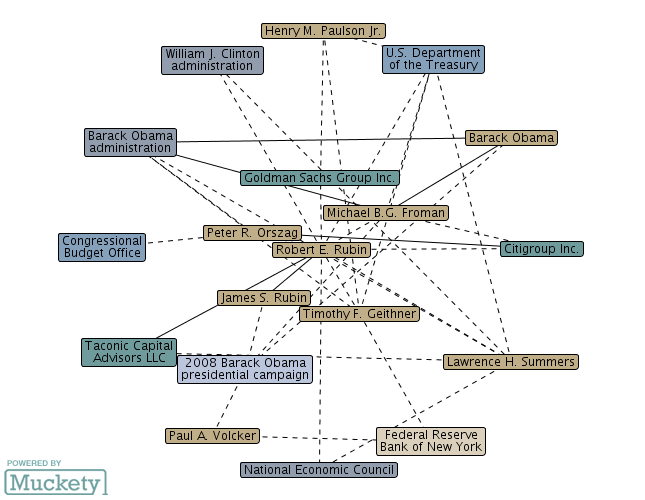 Froman was key to the President’s 2008 election effort, connecting him with major donors in New York’s financial industry," notes Lachlan Markay. The March 2012 House Oversight scathing report confirms these facts, and adds that Froman was a 2008 Obama bundler –– "he was a friend of Obama’s from law school, and supported his political career by bundling over $200,000 for his 2008 presidential candidacy." Froman was also an Advisory Board Member of the 2009 Obama-Biden Transition Team, and in January 2009 was awarded an "unusual, joint position with the National Security Council and the National Economic Council" –– twin posts that gave Froman a direct line to the president. Under his "deputy" role, Froman "is responsible for coordinating policy on international trade, investment, energy, climate and development issues." 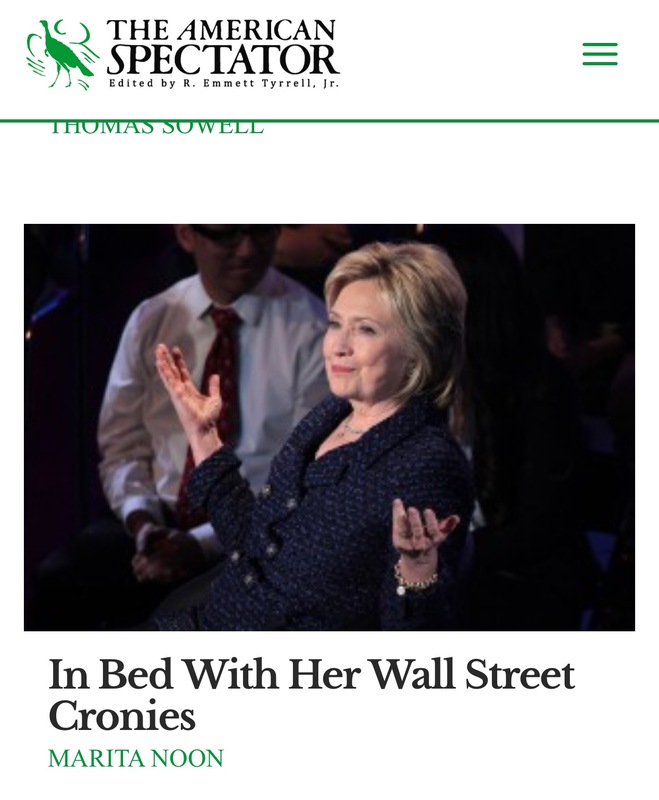 Meanwhile at the NEC, he was in good company with Wall Street insiders, more specifically, Obama's then-economic czar Larry Summers, another Harvard alumni, and a key "revolving door" player tied to more Obama bundling –– both the NEC and Summers I'll address in a bit. But if we go back in time, the cozy ties even intrigued the New York Times, "Mr. Froman heard that Mr. Obama was running for the Senate and offered assistance. A prodigious fund-raiser, especially among New York’s young finance crowd, Mr. Froman introduced Mr. Obama to Robert E. Rubin, the former Treasury secretary, who became a major adviser." The Times further notes, "Like a growing number of potential Obama appointees, Mr. Froman worked for Mr. Rubin." Prior to his arrival at the White House, Froman served in a number of roles at Citigroup from 1999 to sometime in 2009, and "received more than $7.4 million from the company from January 2008 to when he joined the White House" in early 2009. According to a 2009 article by the New York Times, "That money included a year-end bonus of $2.25 million for work in 2008, which Citigroup paid him in January." Instead of outrage from the White House, they justified Froman's earnings and defended his bonus by claiming "he had decided to give it to charity." However, Taibbi describes a more sinister scenario, “Incredibly, Froman did not resign from the bank when he went to work for Obama: He remained in the employ of Citigroup for two more months, even as he helped appoint the very people who would shape the future of his own firm." In fact, Taibbi labels Froman as "one of the most egregious examples — up there with Bob Rubin, literally — we’ve yet seen of the way the revolving door works between business and government generally, and between Citigroup and Treasury in particular." Richard Parsons served on Citigroup's board since 1996 and as chairman since 2009 until he announced stepping down in March 2012. Parsons is also part of the multimillionaire club –– also the former CEO of Time Warner, and was listed on the "near misses" of Forbes' 2009 "The Wealthiest Black Americans" –– one of the five featured in my "Spreading the Wealth to Obama's Ultra-rich Jobs Council" series. Known as a "moderate Republican," during the course of his Citigroup tenure, he took a left turn and gained a variety of important positions within the Obama administration. In 2008, Mr. Parsons served as a member of then President-elect Barack Obama's Economic Transition Team; in January 2009, he was on the short list for Obama's Commerce Secretary; and in 2011, Parsons was appointed to the president’s Job Council. 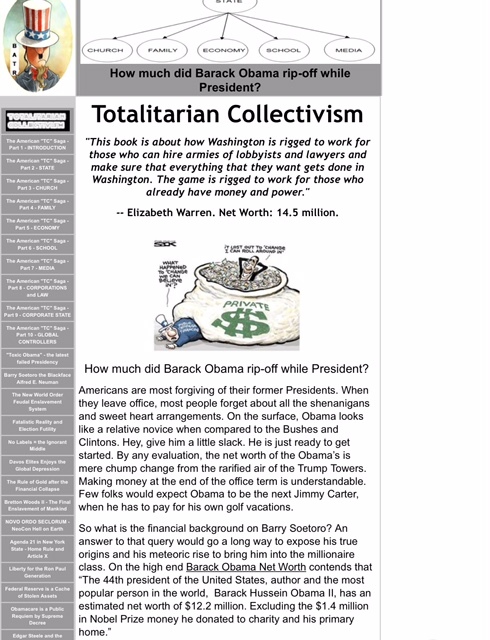 The retired Chicago investment banker Louis Susman served on Obama’s 2008 National Finance Committee, and the staunch Democratic donor and fundraiser that he was; he turned out to be a top 2008 bundler that raised so much money for Obama that he got a nickname “the Vacuum Cleaner." Obama showed his appreciation and made him ambassador to Great Britain. At the time of his nomination, Susman retired in February 2009 as Vice Chairman of Citigroup Corporate and Investment Banking. NOTE: Michael Schell, New York, Citigroup Global Markets was also a 2008 Obama bundler. Although Summers is not a Citi executive, it's worth noting that back in the day (November 2008), President-elect Barack Obama rolled out his National Economic Council (NEC), and installed economic czar Summers (not subject to pesky confirmation hearings), who had served as Rubin's protégé at Treasury. 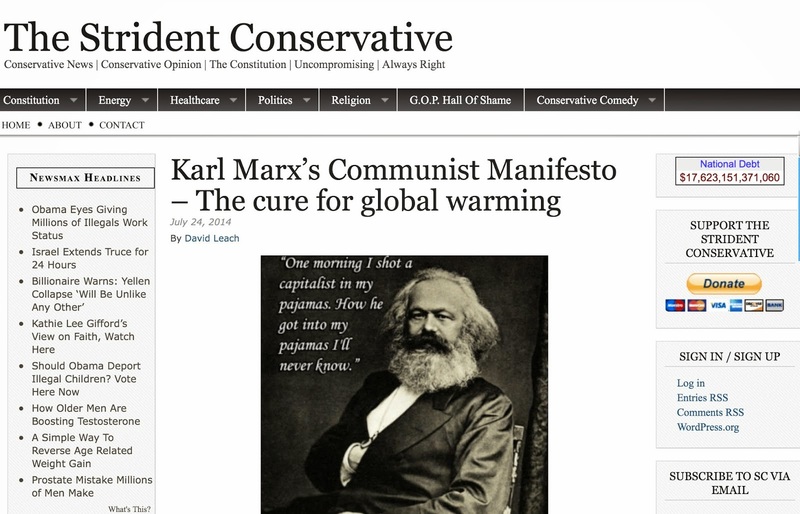 A month later, December 2008 –– recently exposed via a 57-page, “Sensitive & Confidential” memo written by economist Larry Summers to Obama writes, "The short-run economic imperative was to identify as many campaign promises or high priority items that would spend out quickly and be inherently temporary. 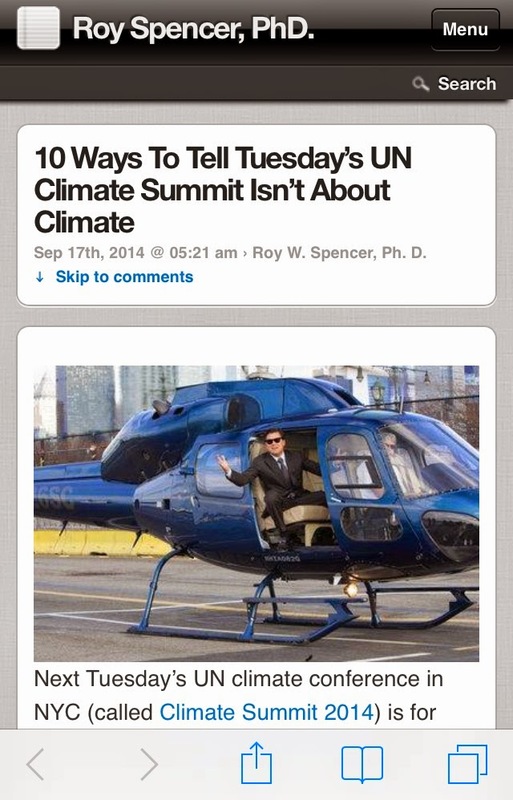 … The stimulus package is a key tool for advancing clean energy goals and fulfilling a number of campaign commitments." In essence, the 2009-Recovery act was about implementing the Obama agenda, not about economic recovery or creating jobs. NOTE: See "11 stunning revelations from Larry Summers’ secret economics memo to Barack Obama" by the American Enterprise Institute for complete story. According to the Wall Street Journal, "The NEC, created by Bill Clinton in 1993, coordinates economic policy between the Treasury, Labor, Housing and Urban Development and Health and Human Services Departments, as well as independent agencies such as the Federal Deposit Insurance Corp."
It turns out that the NEC's first director, Robert Rubin, who later became Treasury secretary, built the post into a power center. But under the Bush White House, its authority has waned." But Obama intended to re-instate its power, and "ensure the NEC is returned to its place as the clearing house for policy ideas and initiatives," and stacked it full members that made a small fortune on Wall Street, who had "absolutely zero interest in reforming the gamed system that made them rich in the first place." What better place for Summers then to be surrounded by his Wall Street buddies. 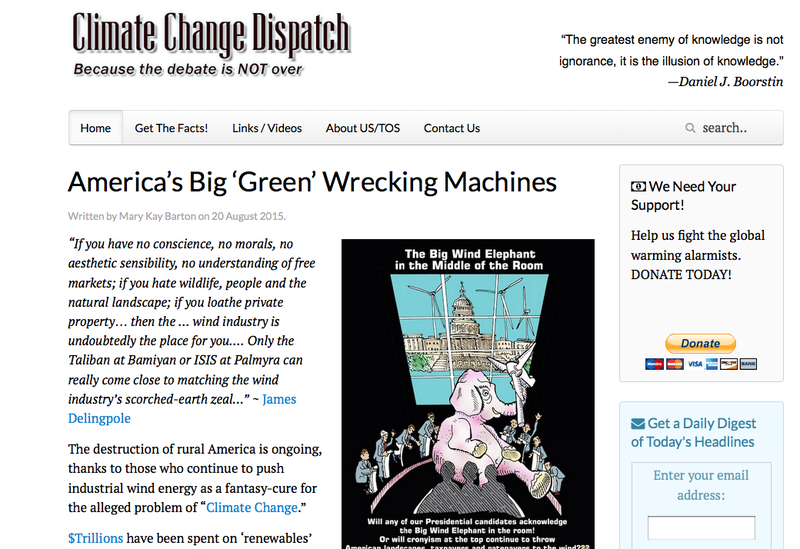 If you've read my work, you may have caught my Big Wind story where I had outlined the high-powered political ties behind First Wind that received millions of federal loans and grants from the green initiatives placed in the 2009-Recovery Act. Starting with D.E. 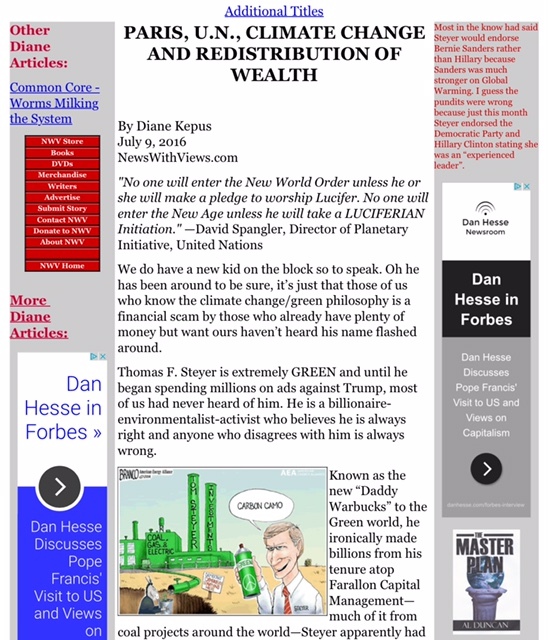 Shaw & Co, a New York-based investment firm –– "a $39 Billion Hedge Fund Giant" (also a First Solar investor), which so happens to be one of the three top contributors to Democrats –– is a backer of First Wind Holdings Inc. Its founder David Shaw, is a two-time Obama bundler, who employed Larry Summers, and before heading to the Obama White House, as the top economic advisor, "Lawrence Summers received about $5.2 million over the past year in compensation from hedge fund D.E. Shaw,” as revealed by the Wall Street Journal, noting his "frequent appearances before Wall Street firms including J.P. Morgan, Citigroup, Goldman Sachs and Lehman Brothers." 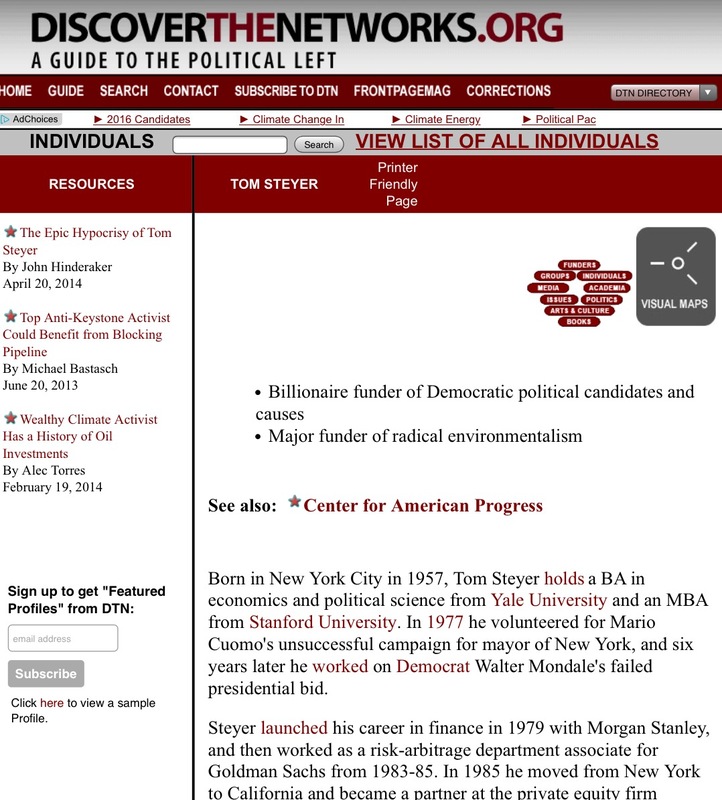 Towards the end of 2011, Summers left the Obama administration and rejoined the firm as a consultant. This is the same Summers that in 2009, along with freshly elected Obama, who lashed out at Wall Street, calling bankers "fat cats" who don't get it, also slammed Wall Street. "Here is what I think they don't get...It was their irresponsible risk-taking in many cases that brought the economy to collapse," Mr. Summers, said on CNN's "State of the Union." 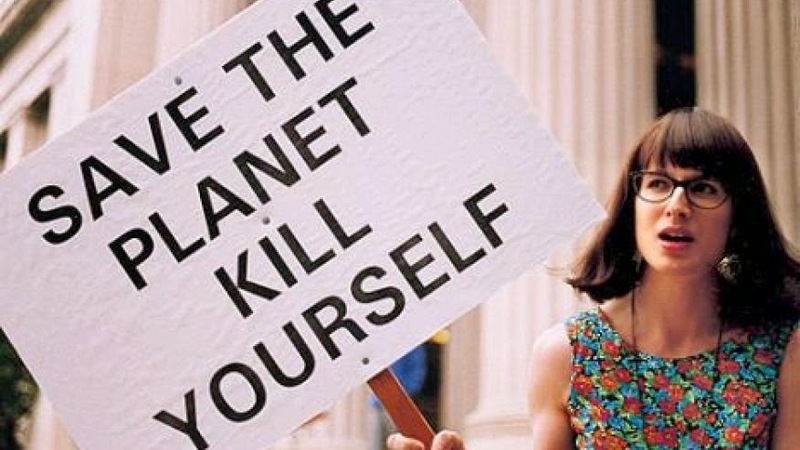 In 2010, Citigroup had announced that it was "well ahead of its 2007 goal to direct $50 billion towards climate change related activities over 10 years." At that time, "the company's portfolio of climate-related activities was valued at over $24.3 billion, including 2009 commitments totaling $5.11 billion." 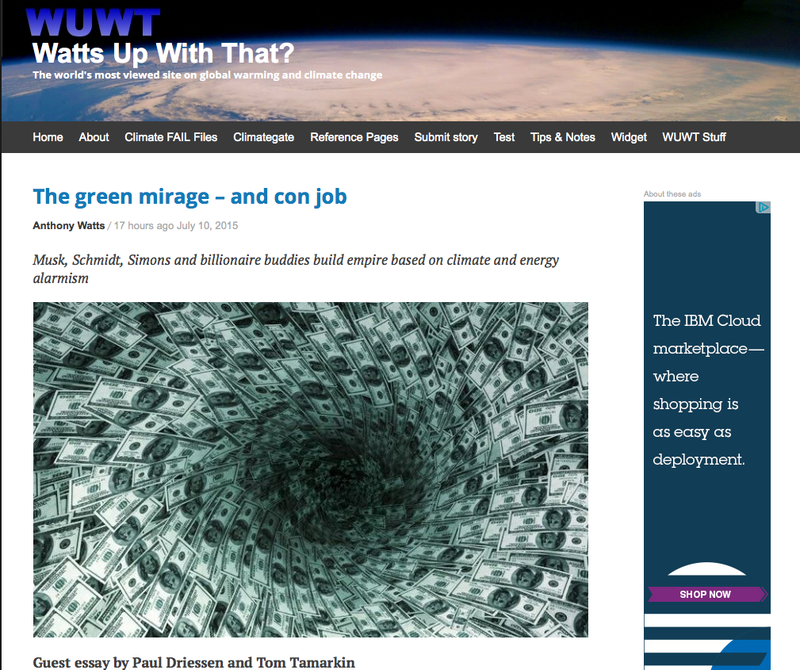 By 2011, through their "$50 Billion Climate Change Investment Initiative" Cit had "directed $36.35 billion into such initiatives so far..." As suspected, "In the U.S., Citi has the largest market share (28 percent) of U.S. Department of energy section 1703/1705 Loan Guarantee program financings for Alternative energy, and we are the leader in such bond transactions. Our Alternative energy practice completed the largest alternative energy finance deal of 2011, for the $2.3 billion Desert sunlight project in California." That's code for Citi is making huge amounts of money from the energy sector of the 2009 Obama stimulus-spending spree. 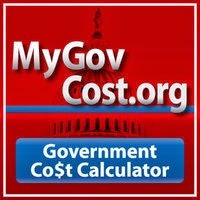 The Department of Energy (DOE) Loan Guarantee Program (LGP) has become by expertise, and it's worth repeating that it consists of three separate programs, Section 1703, Section 1705, and Advanced Technology Vehicles Manufacturing (ATVM), whereas since 2009, the DOE has guaranteed $34.7 billion of taxpayer money. 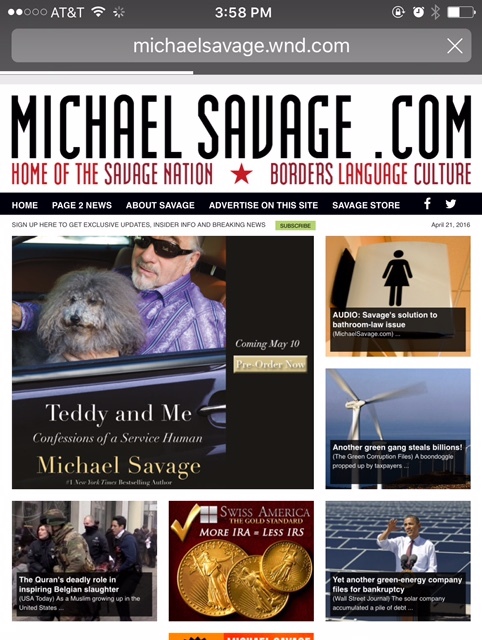 Considering the fact that the 1705 programs was created by the 2009-Recovery Act, a small slice of the trillion-dollar Obama spending spree, of which over $90 billion was earmarked for clean energy, I began unraveling this piece last April. Through just the 1705 alone, $16 billion was doled out to 26 projects, of which 22 were rated as "junk bond" status. 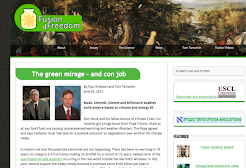 As of the end of 2012, three have gone bust while at least four are in trouble –– yet over 50 that snagged "green" stimulus funds are on my 2012 Green Energy Failure List. By intensely tracking these loans since 2009, and careful analysis of the House Oversight March 20, 2012 investigation (The Department of Energy’s Disastrous Management of Loan Guarantee Programs), we can confirm that at least 90 percent are politically connected to the president and other high-ranking Democrats –– in many cases, to both. 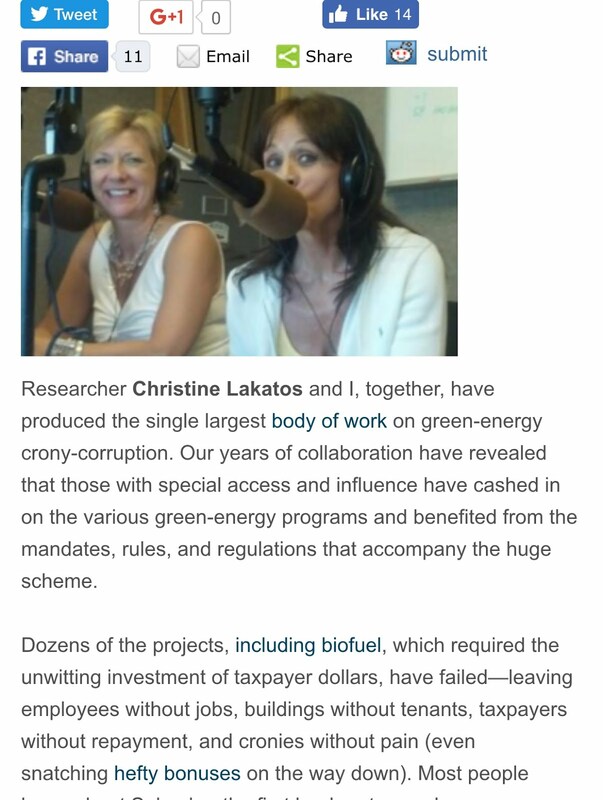 Thus far of the 26 projects, Marita Noon (energy columnist at Townhall.com) and I have chronicled nineteen green-energy, crony-corruption stories from the DOE's junk bond portfolio –– with nine to go. 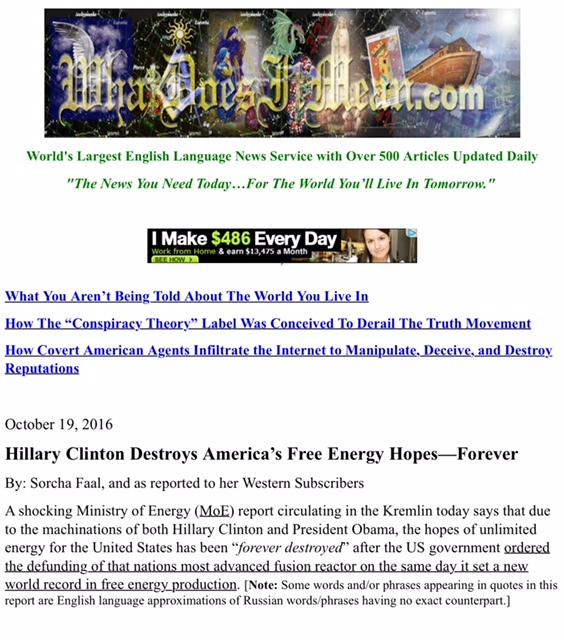 More shocking is that if you dig into these emails –– memorandum as well as Appendix I and the 350+ page Appendix II –– they reveal a series of questionable practices, including coercion, cronyism and, cover-ups, of which Marita and I were one of the few that covered this bombshell scandal on Nov 01, 2012, "Emails Catch White House Lie on Green-Energy Loans." Interesting enough, I had already been aware of, and wrote about SolarReserve, SolarCity and Alta Wind, yet I found Citi’s green stash –– an alternative energy portfolio that lists about 37 transactions (plus SolarReserve = 38) foreign and here in the United States. Citi's roles range from investor, advisor, arranger, to joint bookrunner, and so on –– and in some case a multitude of these. While Citi is proud of their being the "largest market share (28 percent) of the DOE energy 1703/1705 Loan Guarantee program financings," there is much more. 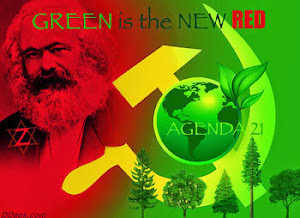 After careful analysis of this year-old green investment documentation, I found that 58 percent of their "clients" have received government subsidies, the majority from the 2009-Recovery Act, totaling approximately $16 billion of taxpayer money. We can confirm that of the 22 transactions, sixteen (at least $8 billion) is where Citi was actively involved in securing the 1703/1705 DOE loans; was a direct investor; and/or served as an underwriter for their initial public offering (IPO) –– by the way, bookrunners, who sell the IPO shares to institutions, do the majority of the work and collect the largest % of fees. Look for the asterisks *, but no matter how you slice it, Citi has an invested interest in the success of these companies/projects, and they are cashing in at the GREEN Bank of Obama. The Spanish company Abengoa received close to $2.8 billion in loans, making them the second largest recipient of the $16 billion doled out through the DOE 1705 Loan Guarantee Program. 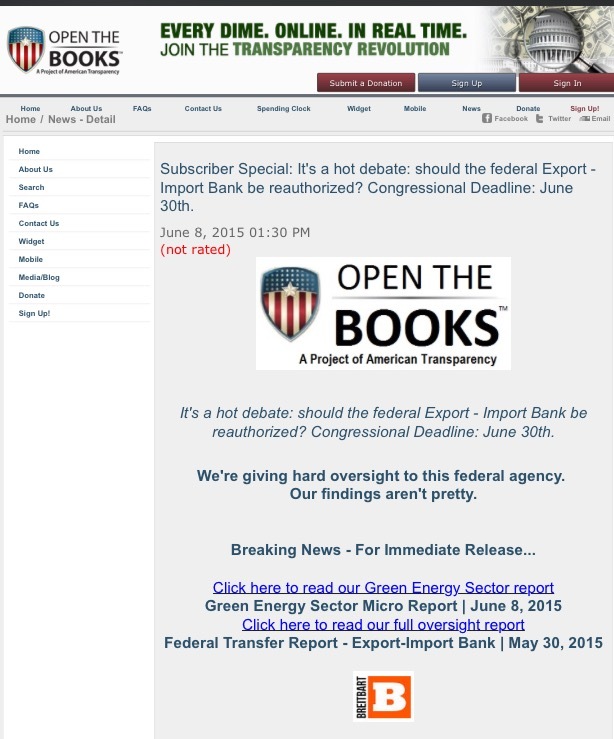 Abengoa also snagged $150 million from the Export-Import Bank of the United States. Apparently in 2008, Citi represented AREVA in "the sale of its 30% stake in wind turbine manufacturer REpower to Suzlon, generating a capital gain of more than 350 million euros." 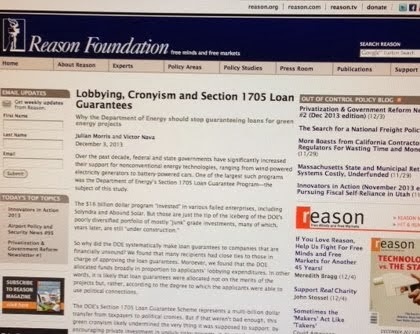 While it's unclear which 1703 DOE loan Citi proudly participated, we do know that under the Obama administration, via Section 1703 of Title XVII of the Energy Policy Act of 2005, the DOE dished out $10.3 billion in loan guarantees to two projects, which both are suspect: AREVA for $2 billion and Georgia Power (along with Southern Company and others) for $8.33 billion. 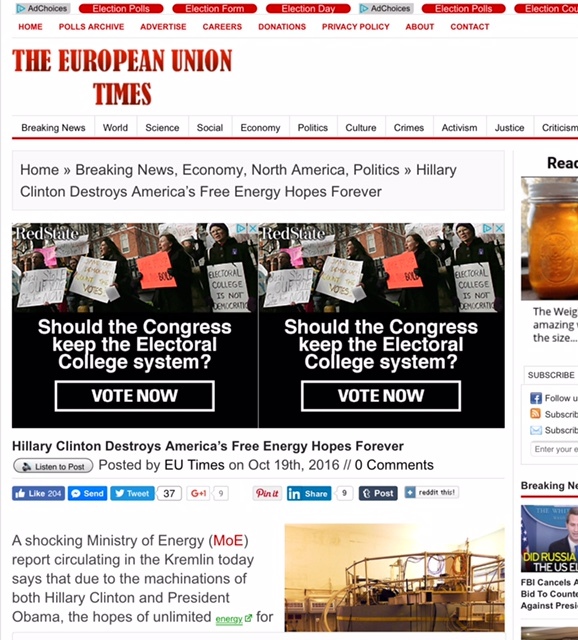 On May 21, 2010, "The U.S. Department of Energy offered a conditional commitment for a $2 billion loan guarantee to AREVA to facilitate financing of its Eagle Rock Enrichment Facility planned for development near Idaho Falls, Idaho" –– a deal that included strong political influence, which we covered a few times. 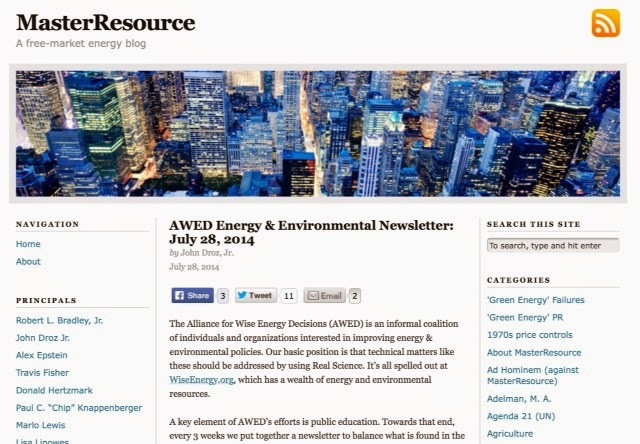 While we've already shed light on BrightSource's $1.6 billion shady DOE deal –– which also received special treatment by the Department of Interior (part of our “Special Seven Series” last summer) –– there is much more to share that I found in that set of incriminating 10/31/12 DOE emails that I had alluded to earlier. 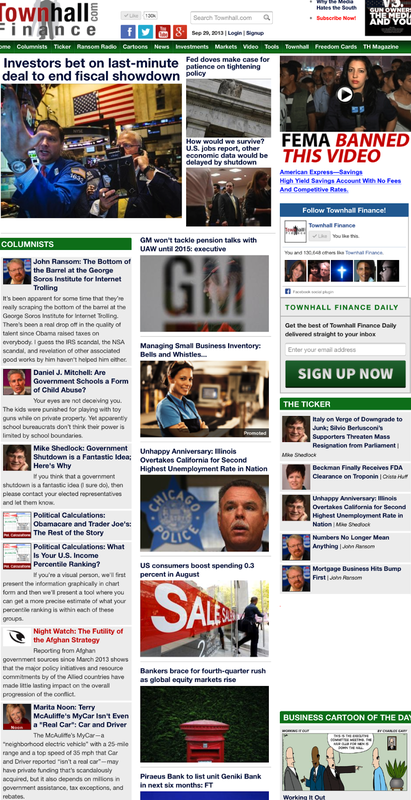 On April 11, 2011, the DOE announced the finalization of $1.6 billion in loan guarantees for BrightSource’s Ivanpah project, and just fifteen days later, Goldman, Citi, Deutsche stepped in –– "US solar energy firm BrightSource Energy Inc said on Friday it had mandated Goldman Sachs (NYSE:GS), Deutsche Bank Securities and Citigroup (NYSE:C) as underwriters of its proposed initial public offering (IPO)." However, a year later, they canceled their IPO, and BrightSource CEO John Woolard told Gigaom.com that it was "because of the weak public markets, particularly for solar and greentech companies..."
As we prepare to unleash more on BrightSource, NRG Energy, and George Soros (another huge Green Corruption villain), here are two of our posts that give you insight into the length and depths of the cronyism and corruption behind this billion-dollar government deal. Granite Reliable/Brookfield received a partial guarantee of $168.9 million in September 2011 for a wind project in Coos, NH to create 198 construction jobs, and 6 permanent jobs. And on May 23, 2012 they received a $56 million 1603 grant for "wind in New Hampshire" [docket #4217 –– $56,201,202]. This was part of my Big Wind story, detailing the "Sweetheart Deals Found in the Department of Energy’s Four Risky Wind Projects." In Peter Schweizer’s, 2011 bestseller Throw Them All Out, we find that the “White House involvement is particularly interesting because several loans appear to have gone to companies with direct connections to senior White House staff,” and the Granite story is one of them. Granite Reliable Wind “is largely owned and managed by CCMP Capital, which is where White House Deputy Chief of Staff Nancy-Ann DeParle had been managing director before joining the Obama administration. 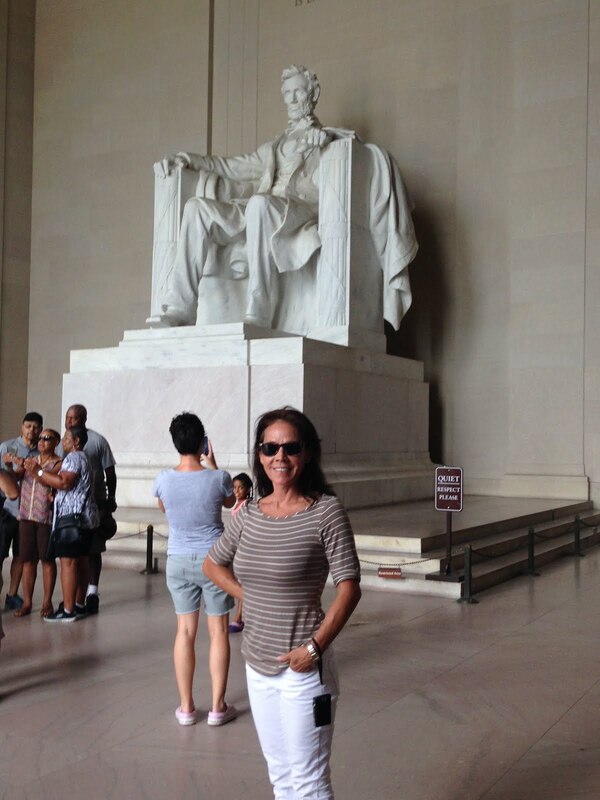 Prior to joining the White House, DeParle was a Managing Director of multi-billion dollar private equity firm CCMP and she both had a financial interest in and sat on the Board of Directors for Noble Environmental Power, LLC. What’s interesting here is that Noble owned Granite Reliable, and DeParle misrepresented her relationship with Noble Energy, "claiming on disclosure forms that her interest had been divested, when in fact it had merely been transferred to her 10-year old son." But this story gets even shadier. Besides Granite Reliable and Noble Environmental, it involves other companies like BAIF Granite Holdings, Inc., Brookfield Renewable Power, a subsidiary of the $3.2 billion company Brookfield Asset Management (BAM) as well as Freshet Wind Energy, LLC. 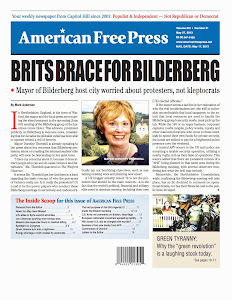 This BAM family of companies has strong Democrat connections: John Zuccotti, Diana Taylor, New York City Mayor Michael Bloomberg’s long-time girlfriend, as well as George Soros and Martin J. Whitman, both prominent Democratic donors, who are both heavily invested in Brookfield. Moreover, Heather Podesta, sister-in-law of Obama’s influential White House transition director John Podesta, and the Podesta Group served as the lobbyists for BAIF. 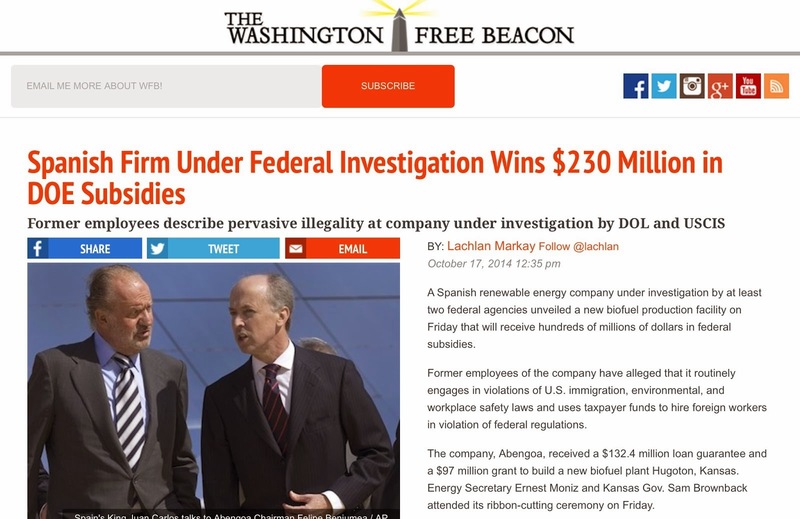 NOTE: The full Granite corruption story can be found at my Big Wind piece, “A Hurricane of Carnage, Cronyism and Corruption –– the section labeled, “A Twister of Sweetheart Deals Found in the Department of Energy’s Four Risky Wind Projects." I already addressed Noble Environmental Power, the developer in the Granite Reliable Power Windpark located in New Hampshire that snagged a partial guarantee of $168.9 million from the DOE in June 2011, and it was finalized in September 2011, along with its massive political connections that go all the way up to the White House. 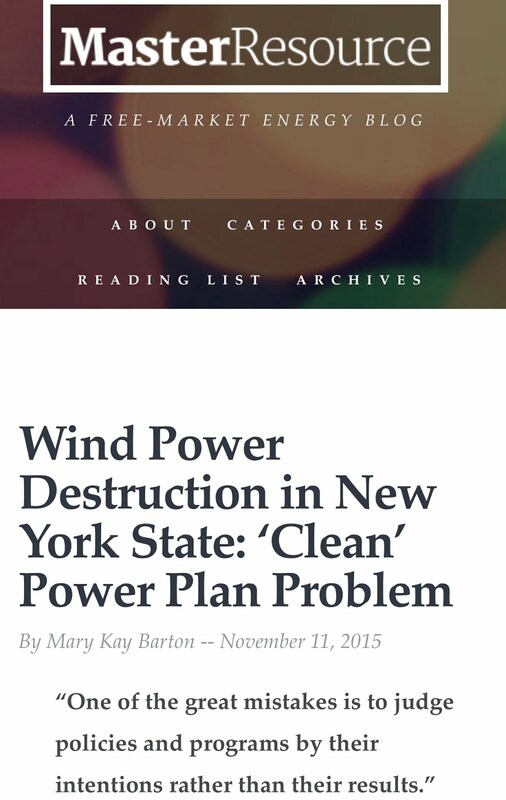 However in June 2010, Noble was privy to tax-free cash from the 1603 stimulus grants for their New York wind parks –– three totaling $221.4 million of taxpayer money. What’s even more concerning is that these are also part of a long list of “Pre-stimulus Projects” –– renewable energy grant recipients who started construction before the stimulus bill passed. The Shepherds Flat $1.3 billion DOE deal for a wind project in Oregon (Caithness Shepherds Flat, LLC) is part of the $16 billion DOE "junk bond portfolio," which is accompanied by that set of incriminating 10/31/12 DOE emails. 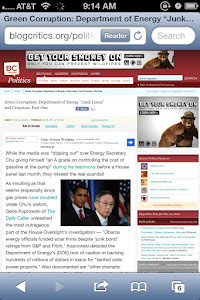 In this particular deal, which I recently exposed via my post about Obama's Job Czar Jeffrey Immelt, the 10/31/12 DOE emails prove White House participation and pressure –– in total contrast to President Obama's pre-election statement, "...And these are decisions, by the way, that are made by the Department of Energy, they have nothing to do with politics." Not to mention the "Summer of 2012 House Oversight Testimony" and the lies by Jonathan Silver, Former Executive Director of the Loans Programs Office. Despite the fact that this project received a non-investment grade by Fitch, they snagged a huge $1.3 billion DOE loan in October 2010. GE sponsored the Caithness Shepherds Flat, and also supplied the project with 338 wind-turbines. 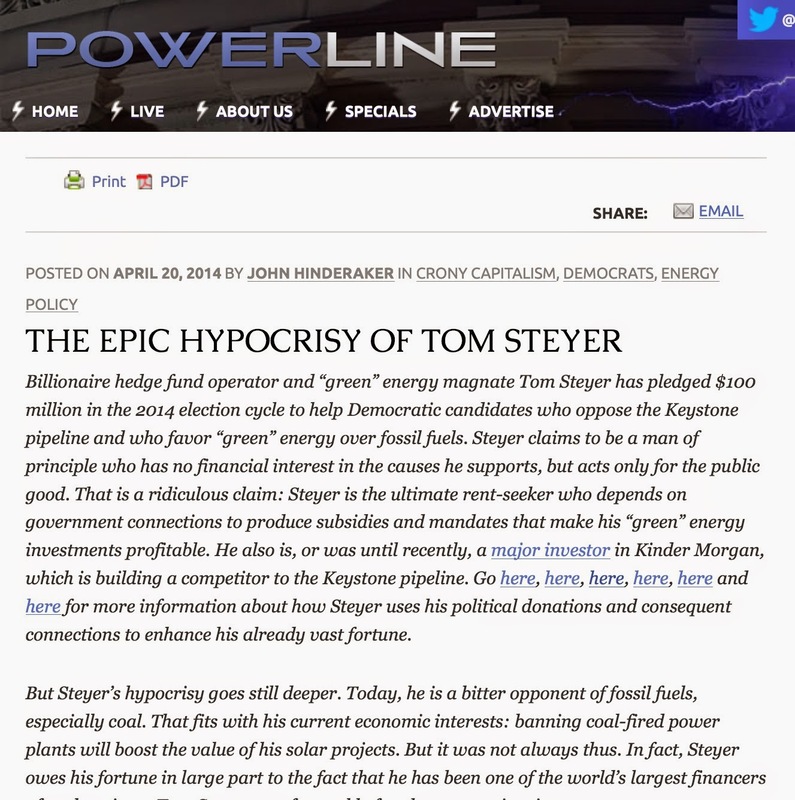 While this green energy, crony corruption story also includes more top Obama donors, the Shepherds Flat’s developers also received "a $500 million federal grant, state tax credits totaling $18 million, accelerated depreciation on federal and state taxes worth $200 million, and a premium for its power from the state worth $220 million." And now we see that Citi was instrumental in securing this huge DOE deal, but don’t underestimate GE’s CEO Jeffrey Immelt's, and his “special entrée” to the White House that started two years prior to his February 2011 Job Czar position, as a member of President Obama’s 2009 Economic Recovery Advisory Board (PERAB). 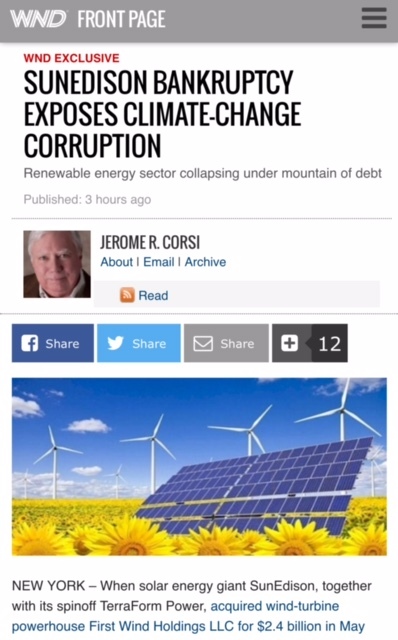 Besides the fact that GE too was a top 2008 Obama donor, and Immelt’s direct access to President Obama since 2009, GE was privy to Valerie Jarrett’s September 2009 "Clean Energy Summit," where an array of attendees just so happened to "collectively strike gold" with over $5.3 billion in taxpayer funds from the Obama stimulus. In fact, GE has been making “Bank” off Obama's Green Stimulus Money –– over $3 billion and counting, found in my July 2012 report. While these two projects are unfamiliar, and at this point I can't confirm or deny government subsidies, I'll share some headlines on both, and we'll will keep an eye out. September 18, 2012 - New York: LS Power announced today that it had completed financing and authorized construction of the Centinela Solar Energy Project, a 170 megawatt (AC) photovoltaic solar farm, near El Centro, California. 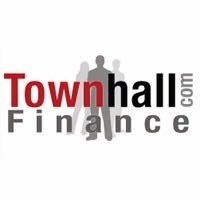 In March 2012, "LS Power’s 127-megawatt Arlington Valley Solar Energy II Project in Arizona’s Maricopa County will soon get underway now that the company has completed financing the $550 million project." "The company completed financing for the $550 million project with Prudential Capital Group and General Electric’s Energy Financial Services unit. GE invested $100 million as an equity partner in the project." It turns out that Arlington Valley Solar project, "which should start producing commercial electricity in early 2013," qualifies for the 1603 Treasury Grant incentive program, according to LS Power Executive Vice President John King. LS Power has a lot of projects but there is one in particular that stands out due to the fact that it was the recipient of one of those1705 DOE loans. LS Power and its project labeled "One Nevada Transmission Line" a Nevada project called ON Line – formerly known as SWIP-S, where Great Basin Transmission, LLC, an affiliate of LS Power, is developing the Southwest Intertie Project (“SWIP”). Despite the fact that in January 2011, Fitch had rated the Nevada transmission line project as non-investment grade, in February 2011, the DOE awarded LS Power a $343 million loan guarantee "to develop the first phase of a line that will carry approximately 2,000 MW of electricity," which predicted that it will create 400 construction and 15 permanent jobs. A year earlier, October 19, 2010 to be exact, this project got a special visit form key energy officials: Jonathan Silver, then-Executive Director of the Department of Energy’s Loan Programs Office, and then-Secretary of the Interior Ken Salazar as well as Senator Harry Reid. As it turns out, that set of pesky incriminating 10/31/12 DOE emails, more specially inside the 350+ page Appendix II, reveal that many of the DOE loans were rushed and approved for political purposes –– visits, speeches, announcements, photo ops, and talking points for the president as well as for the purpose of helping those connected to the companies seeking the loans –– CEO's, investors, and Democrat politicians, which goes beyond subsidizing Nevada companies in order to help Senate Majority Leader Harry Reid win his 2010 reelection. 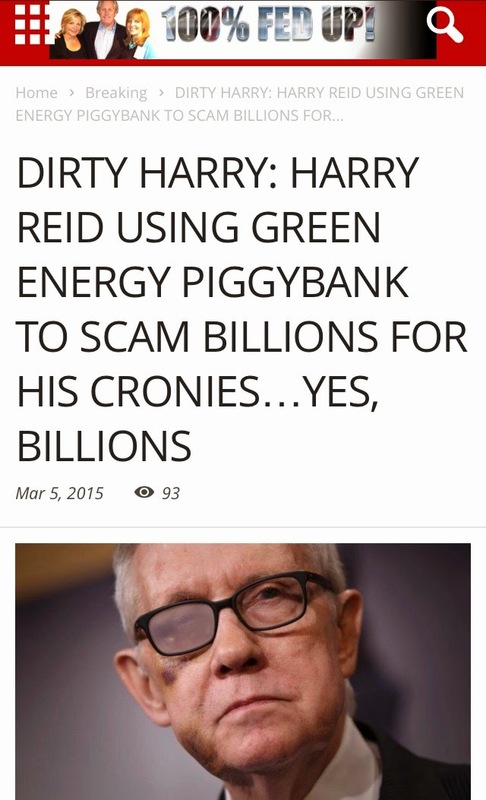 NOTE: In fact Senator Reid is tied to five of the DOE loans worth billions of taxpayer dollars, of which Marita Noon and I covered four; BrightSource, SolarReserve, Nevada Geothermal, and Ormat Nevada. However, in these emails I discovered a fifth, which "goes by a variety of names," including SWIP, Great Basin project, and One Nevada, yet after an analysis, I figured out that this project is LS Power for $343 million. Stay tuned, because we will be revisiting Nevada real soon. In September 2011, the DOE approved a $1.46 billion partial loan guarantee for the junk-rated Desert Sunlight project in California, estimated to create 550 construction jobs and 15 permanent. 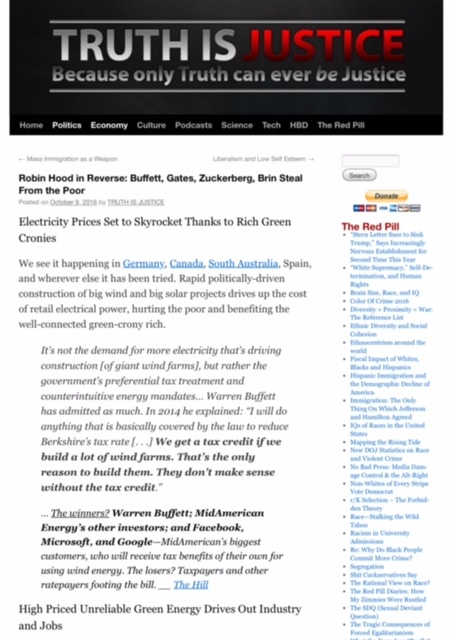 NOTE: This project is part of the “$3 Billion First Solar Swindle" –– my research from last summer, and our column at Townhall.com, "Third Largest Power Company in the World is the Third Largest Recipient of Risky Loans” –– both part of our Special Seven Series. Those favored projects that not only received billions of DOE funds under the 1705 loan program as well as renewable energy grants from the Treasury Department, but were given fast-tracked approval by the Department of the Interior to lease federal lands in a no-bid process: Abengoa Solar, BrightSource Energy, First Solar, Nevada Geothermal Power, NextEra Energy Resources, Ormat Nevada, and SolarReserve, and now we find that Citi is connected to four of these –– two directly. As of late, further details on NextEra can be found in my Big Wind story that incorporates my third installment of "Spreading the Wealth to Obama's Ultra-Rich Jobs Council." SolarReserve’s Crescent Dunes project is a solar thermal power tower plant utilizing the advanced molten salt power tower technology with integrated storage located in Tonopah, NV. The company's Fitch rating was "speculative" at best, yet in September 2011, it was the recipient of $737 million in DOE loan guarantees. This project predicted 600 construction jobs and 45 permanent. Besides Citi as a major investor in SolarReserve, additionally we have a DOE Insider tied to this project, David Sandalow, who is currently the acting Under Secretary of Energy. 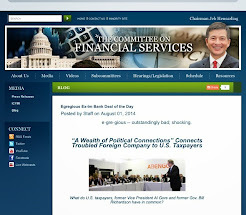 According to the March 2012 House Oversight report, “Sandalow’s ties to the White House date back to the Clinton administration, during which he worked with President Clinton on environmental issues. 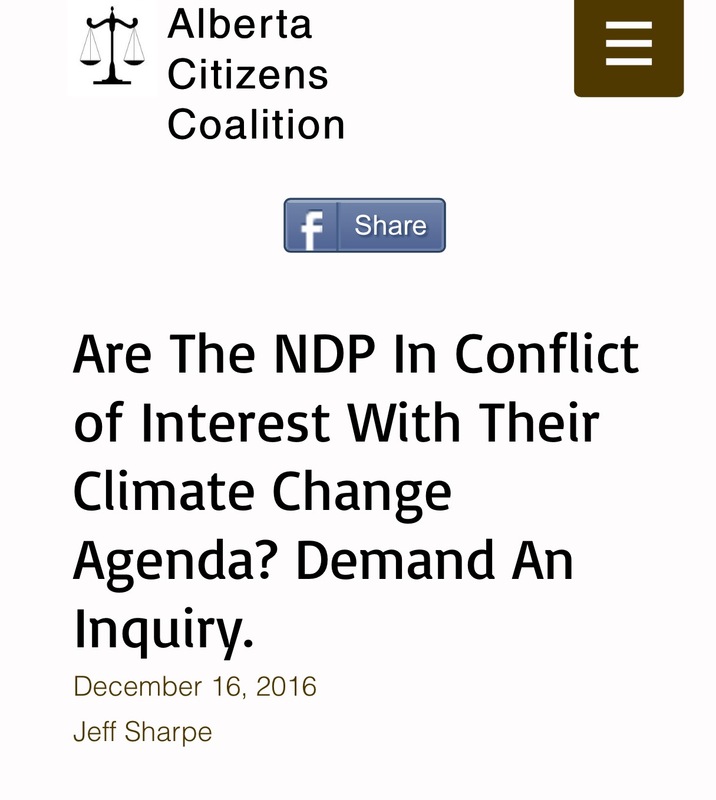 After having gained this experience, Sandalow became the influential Chair of the Energy & Climate Working Group of the Clinton Global Initiative. He went on to advise President Obama’s presidential campaign in 2008. Prior to joining the Obama Administration, Sandalow was a senior advisor to Good Energies, Inc., an energy-focused venture capital firm. 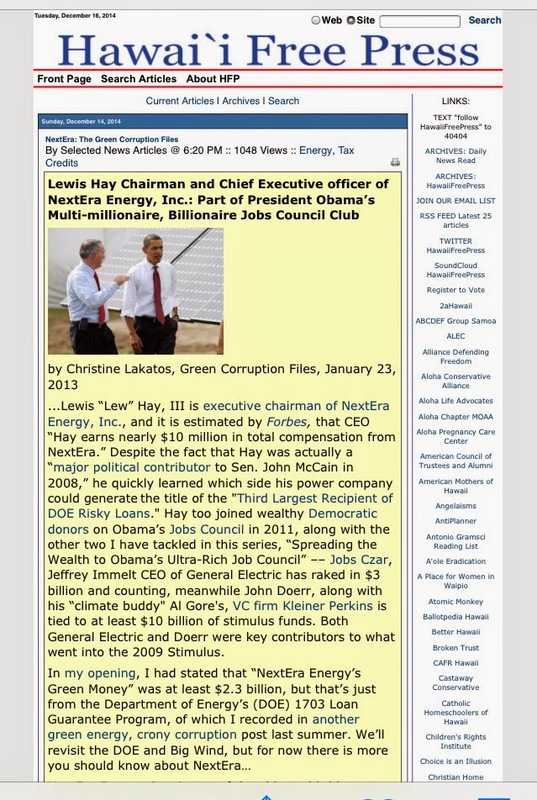 Good Energies is an investor in SolarReserve,” as well as other green projects that got stimulus funds, but we’ll save that part of the Green Corruption scandal when expose all the DOE Insiders that benefited from Obama's green funds. 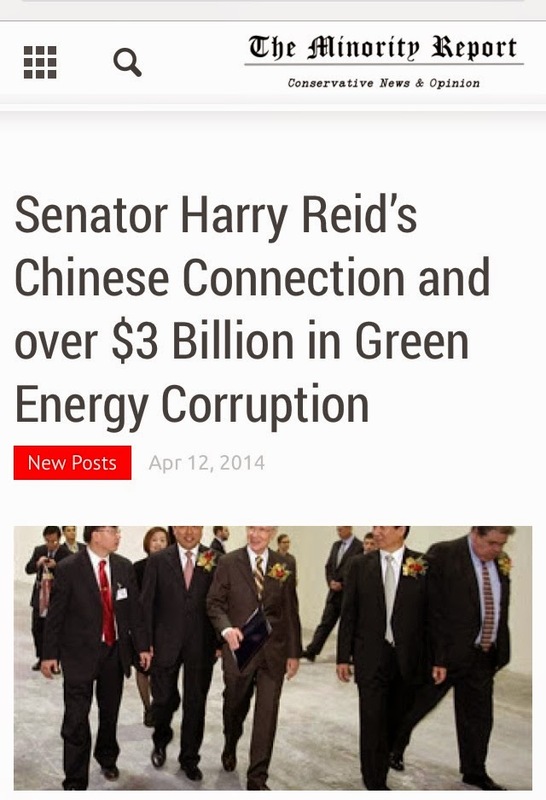 Furthermore, SolarReserve board members are big Democrat donors, including contributions toward Obama’s 2008 campaign as well as Senator Harry Reid's 2010 midterm. 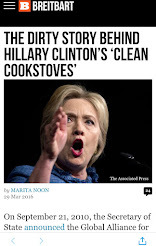 We covered this extensively last summer, detailing SolarReserve's association to the Democratic Party: Ronald Pelosi, George Kaiser, Tony Podesta, Lee Bailey, and James McDermott. 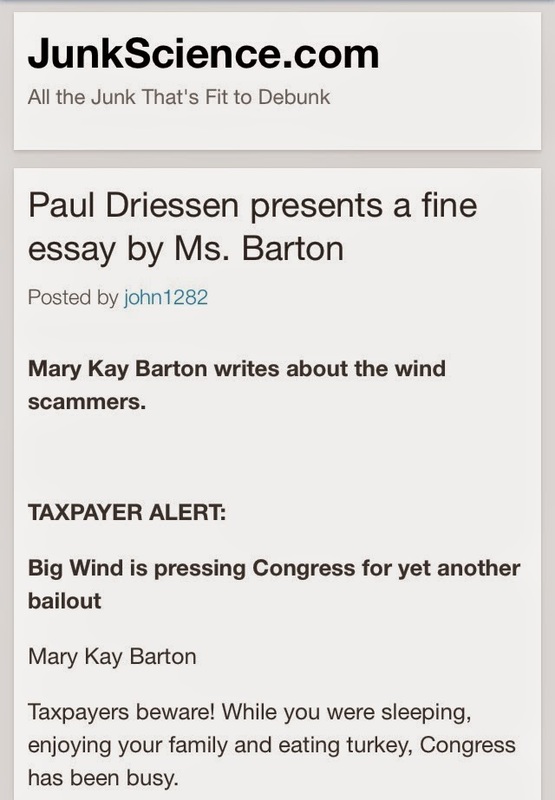 In my Big Wind story I had elaborated on the 1603 Grant Program, a relative of the Production Tax Credit (PTC) –– also part of President Obama’s trillion-dollar stimulus spending spree –– which is administered by the Treasury Department, where billions in favored-businesses are given tax-free cash gifts. While we can’t confirm that Citi was actively part of these three foreign firms getting cash grants, we do know that Horizon Wind Energy, of which "EDP-Energias de Portugal SA, the country's biggest electricity utility, agreed to buy Horizon Wind Energy LLC of Texas from Goldman Sachs Group Inc. for $2.15 billion," and Citigroup Inc. advised EDP on the Horizon acquisition," according to Bloomberg in 2007. 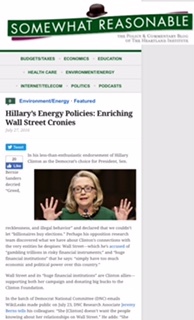 In August 2009, the Wall Street Journal reported that Citigroup –– drawn to wind power –– “made a $120 million investment in a large wind farm under construction in the rolling hills of northern Pennsylvania." AES Wind Generation, a wholly owned subsidiary of the AES Corporation, a Fortune 500 global power company, owns this project, called Armenia Mountain, and sometime in 2010, AES Armenia Mountain Wind received $69,460,892 in federal funding through the 2009-Recovery Act, a cash grant via the 1603 program. Now if you take a look inside the DOE, it reflects an obvious conflict of interest –– we have Kristina Johnson that served on the board of AES from 2004-2009 and then again has served as a director since January 2011. In between, she served as Undersecretary for Energy at the DOE –– again this is part of my DOE Insider piece of the Green Corruption scandal in the works. As I chronicled in my Big Wind story, there’s a massive wind project in California that is "on its way to being the largest wind energy farm in the nation," yet not without the help of the government, more specifically the PTC. In May 2010, Terra-Gen Power, LLC (“Terra-Gen”) had “closed a $394 million financing, for Alta Wind I project located in Tehachapi, California (done in phases), which included “a bridge loan to the ITC cash grant from the US Department of Energy." By July 2010, Terra-Gen Power, LLC announced that it has closed $1.2 billion financing for four wind power projects –– “The $1.2 billion financing for the Alta Projects II-V included the issuance of approximately $580 million of pass through certificates due 2035 via a Rule 144A offering, a construction bridge loan facility of $499 million and ancillary credit facilities of $127 million. Proceeds from the certificates and bridge loans will be used to fund construction of the projects,” of which Citi was actively involved. 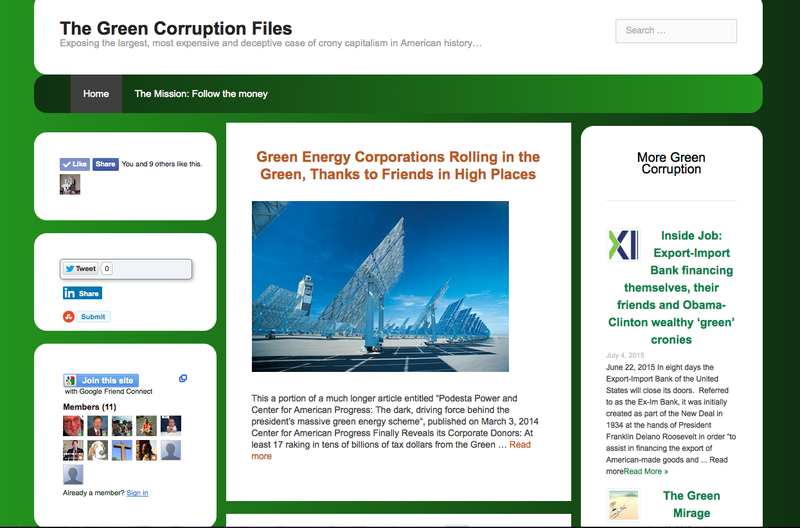 Google, another top Obama donor both in 2008 and 2012, with its slew of Obama cronies, is a huge Green Corruption player which I covered quite extensively this past January, noting how Google has aimed its "search engines" at green technology, many of which have received government help: BrightSource, Solar City, Telsa Motors, and others. In fact, Google Ventures, Energy Investments list include (d): CoolPlanetBioFuels, Amprius, Clean Power Finance, Nest, Next Autoworks, Silver Spring Networks, and Transphorm –– and that's just what I could find. 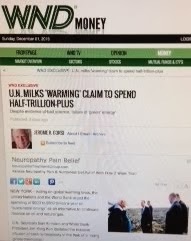 Of course Alta Wind utilizes GE turbines (GE a huge cash recipient from the Green Bank of Obama) as well as those manufactured by Vestas-American Wind Technology, Inc. (“Vestas”) –– a Danish wind turbine company whose subsidiaries received over $50 million in U.S. stimulus dollars, and back in October 2012, had cut more than 800 jobs. While I can’t locate the exact amount of that “bridge loan to the ITC cash grant from the US Department of Energy," I did document tons of Obama free cash. Alta Wind Energy Center, in just over a year time period (July 2011 to August 2012) –– scored 21 of the 1603 grants with a grand total close to $500 million [dockets #1361 to #1381]. 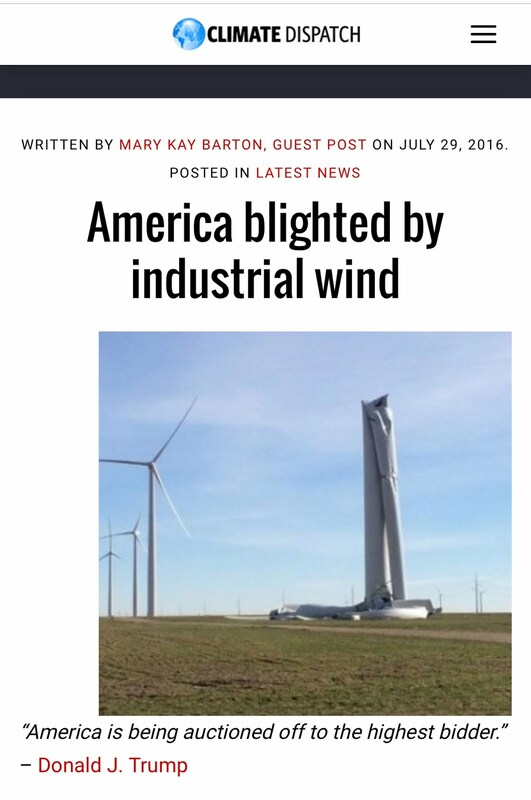 And as of July 2012, this huge wind farm backed by wealthy investors –– which rely heavily on government subsidies had stated, "it will not pursue expansion into 2013 if the production tax credit (PTC) is not extended by Congress." Well we know that as part of the 2013 fiscal cliff deal and heavy lobbying, “the wind energy PTC was extended until the end of 2013 and will dole out an estimated $12.1 billion in tax credits to the wind energy industry over the next decade.” So, we can rest assure that Alta Wind will be there with their hand out –– once again. 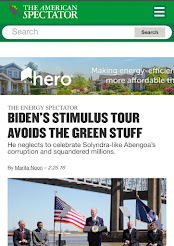 I covered SolarCity quite extensively in my last post, “Obama's Jobs Council Closed: Mega-Rich Member Penny Pritzker "Rumored" for Commerce Job, “Related” to Two Large Green Corruption Stories.” But since Citi is a major SolarCity investor, it’s worth repeating a few of the highlights, which includes, like most of these clean energy deals –– pet projects of the rich who have access and influence. This particular case is rather nauseating, and begins with Telsa Automotive and its $465 million DOE loan, which takes us down billionaire alley. Tesla’s founder and CEO, billionaire Elon Musk, also a SolarCity investor and their chairman of the board, "is a hearty political contributor who has primarily backed Democrats, including Obama. 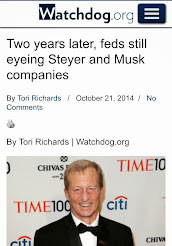 Meanwhile, another Telsa and SolarCity investor is another billionaire Nicholas J. Pritzker. Mr. Pritzker is partner at Tao Ventures and senior development advisor for Hyatt Hotels Corp, also a donor to Obama, and the cousin of Penny Pritzker. Penny Pritzker, an heir to the Hyatt Hotel and Pritzker family fortune, was a key fundraiser for Barack Obama's presidential run in 2008. Also from the PERAB, Pritzker was one of the elect members of the president's (now closed) Jobs Council –– "Mission Accomplished," I guess. Ms. Pritzker wears many liberal hats, including prominent positions like the 2008 National Finance Chair of the Barack Obama for President campaign and co-chair of the 2009 Presidential Inaugural Committee. Although she played a less significant role in Obama’s 2012 reelection, she’s at the top of the short list to be the president’s commerce secretary. At the end of 2012, SolarCity hit the news as part of a trio of solar companies under investigation by the Treasury Department’s office of inspector general for possible "misrepresentations" in getting public money –– together, the three companies reportedly have claimed more than $500 million in taxpayer support,” while "SolarCity has applied for $341 million in grants," reported Fox News. What's not widely known is that SolarCity was a DOE loan applicant, seeking $275 million, and made it through the first phase. 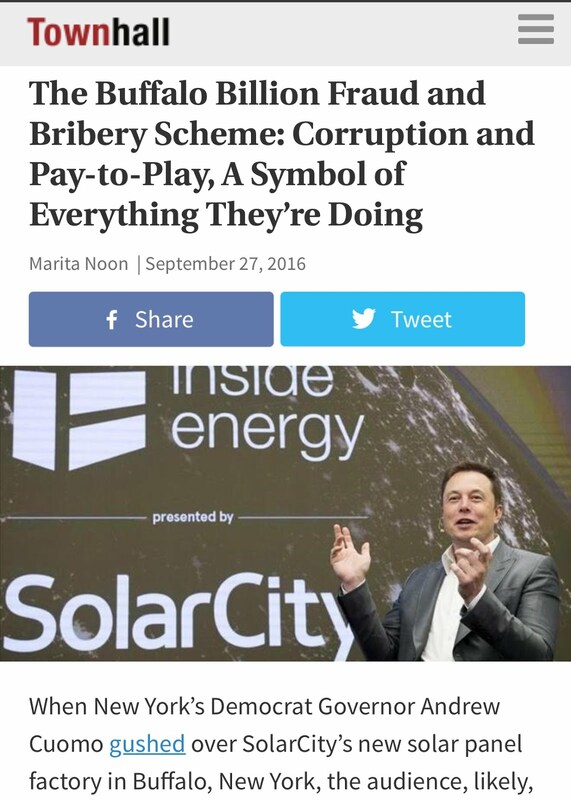 However, in the end (September 2011), it was rejected –– SolarCity said "The [Solyndra] scrutiny prompted the agency to request additional information," and apparently they couldn't get it done in time. 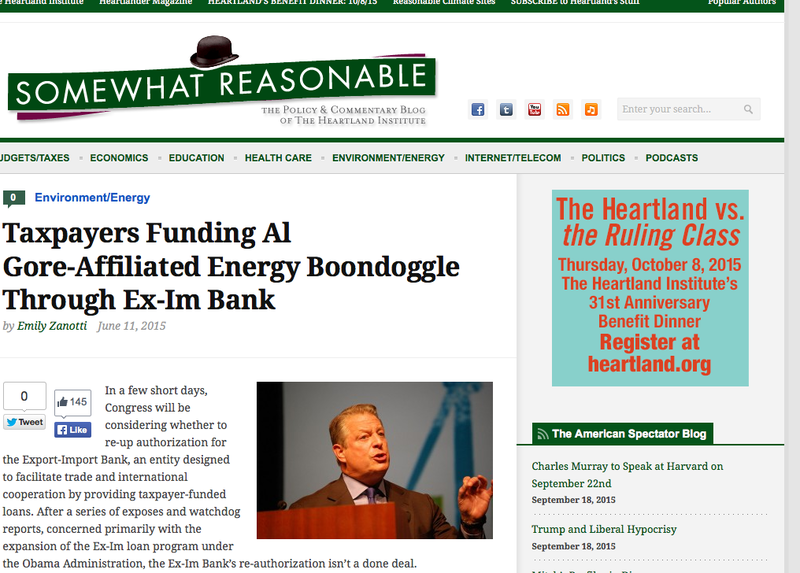 Ironically a month earlier (August 2011), this loan was a GO –– as reflected in that set of pesky incriminating 10/31/12 DOE emails, however SolarCity is duly supplied with stimulus subsidies at the taxpayers expense. 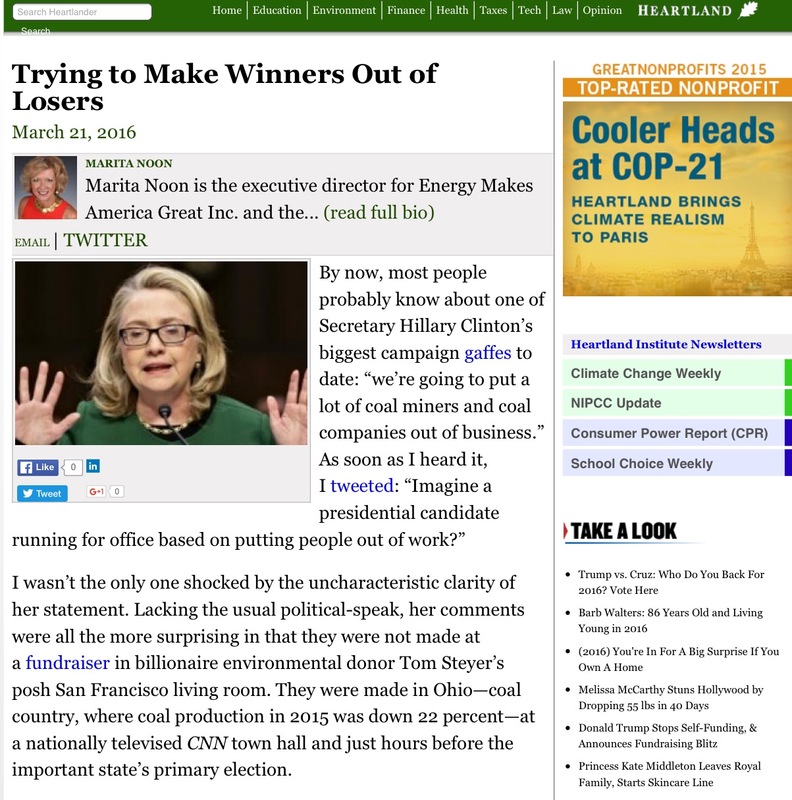 And inside the SolarCity Story you’ll find Citi and plenty more billionaire Green Corruption villains. That’s right, we are subsidizing billionaires! 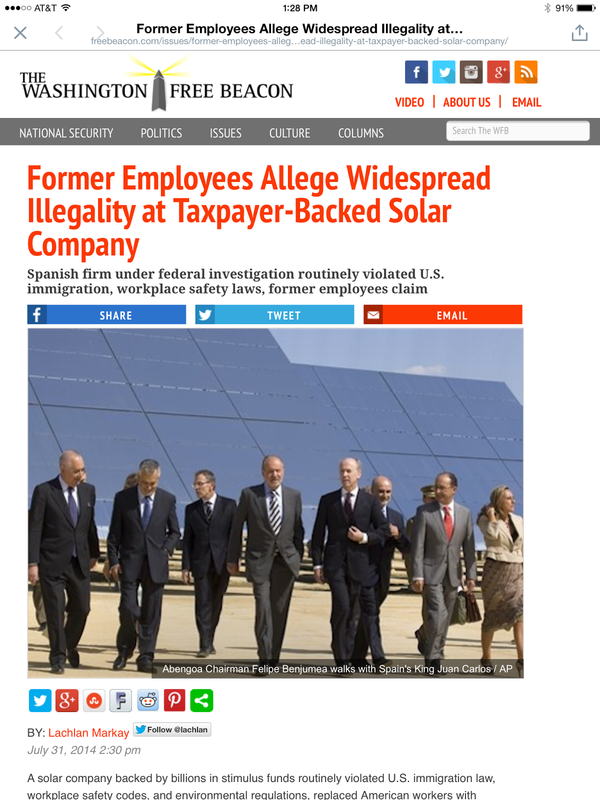 Prior to Solar Millennium's demise, in April 2011, Solar Trust of America had received one of the largest DOE loan guarantees for the latter project, of which "Senior officials in Obama's administration had very high hopes for the Blythe project," reported the Examiner last spring. Meanwhile Secretary Chu touted it as a winner, and Interior Secretary Ken Salazar attended the groundbreaking ceremony, along with California Governor Jerry Brown in June 2011. However, it was a conditional commitment "providing that it raised private capital," writes Deroy Murdock, and in August 2011, Solar Trust withdrew from the DOE Loan Program. 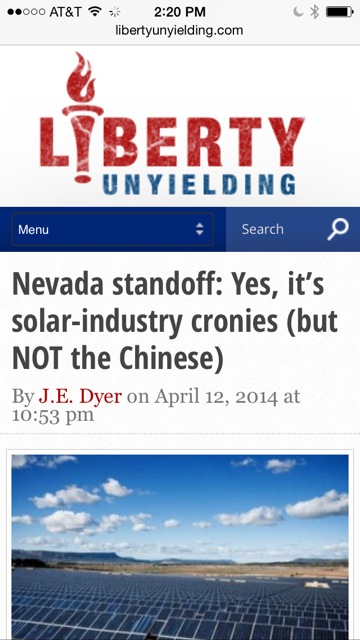 Then in April 2012, Solar Trust made headlines: "World's Largest Solar Power Plant Goes Bankrupt." The Heritage Foundation put it this way, "Solar Trust never got the money, as their plan to use cheaper but older technology was not good enough for the DOE and the company would not change to more expensive technology just to get a government handout (get that? 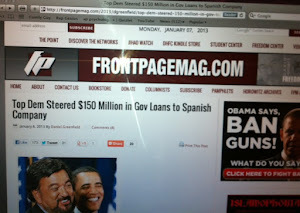 The DOE’s loans are not about saving people money, just being politically correct). 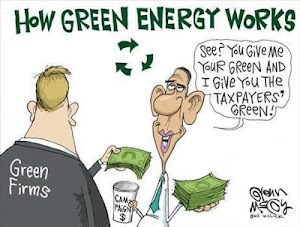 While this shows yet another failed green energy company that our government considered giving money to, at least taxpayers didn’t actually lose the money." 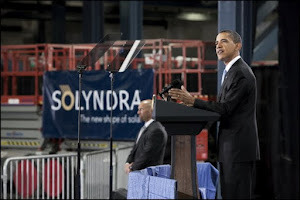 This $2.1 billion loan guarantee would have been equivalent to more than three Solyndra sized loans. 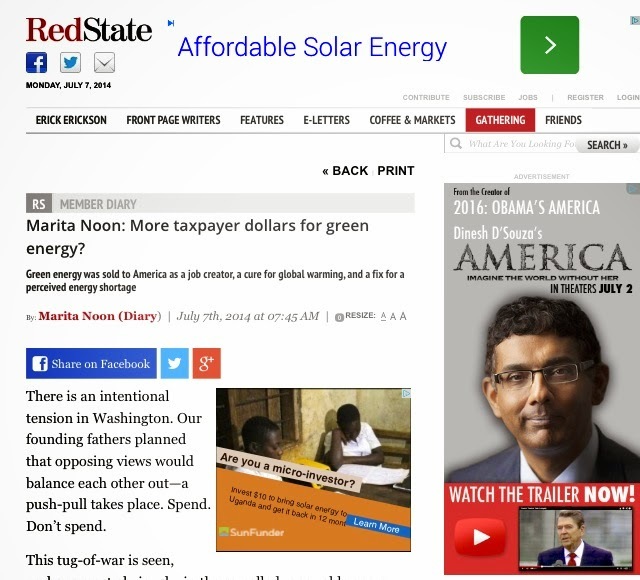 Solar Trust is one of the companies that Peter Schweizer mentions in his book Throw Them All Out, exposing the fact that those who were offered or received large DOE loans or grants, also have ties to President Obama –– "campaign backers and bundlers." Schweizer divulges that Citigroup Global Partners and Deutsche Bank had invested $6 billion in this project, noting that Seth Waugh, CEO Deutsche Bank Americas, was an Obama bundler, and that the projects partner Chevron, heavily favored Obama over McCain. 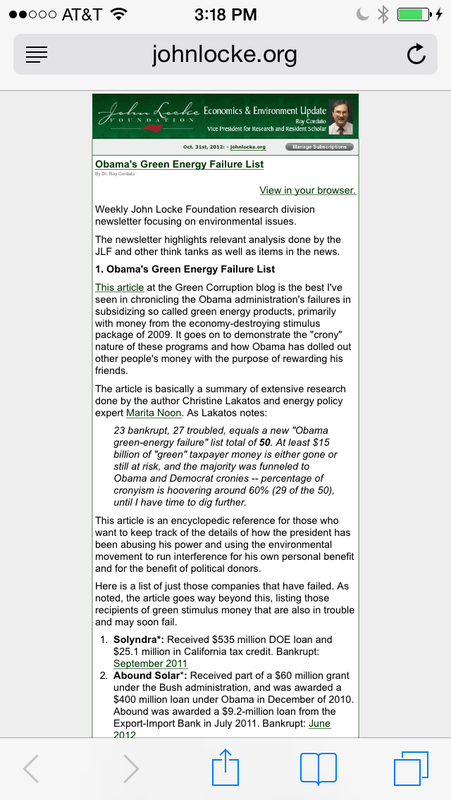 NOTE: This is a story I covered in my October 2012 Special Report Part Two: Obama, the Green Loser; Cronyism Inc., and I am marking these two because of their direct DOE loan involvement, however, considering the loan didn't go through, there is no dollar amount calculated into Citi's final stimulus funds tally. In August 2011 SunPower and Citi set up a $105 million fund for residential solar leasing projects, which states, “SunPower will use the fund to extend its SunPower Lease programme to customers in 8 US states, expanding the financing options available to homeowners interested in SunPower solar energy systems” –- now available in Arizona, California, Colorado, Hawaii, Massachusetts, New Jersey, New York and Pennsylvania. Citi is contributing $80 million to the fund. 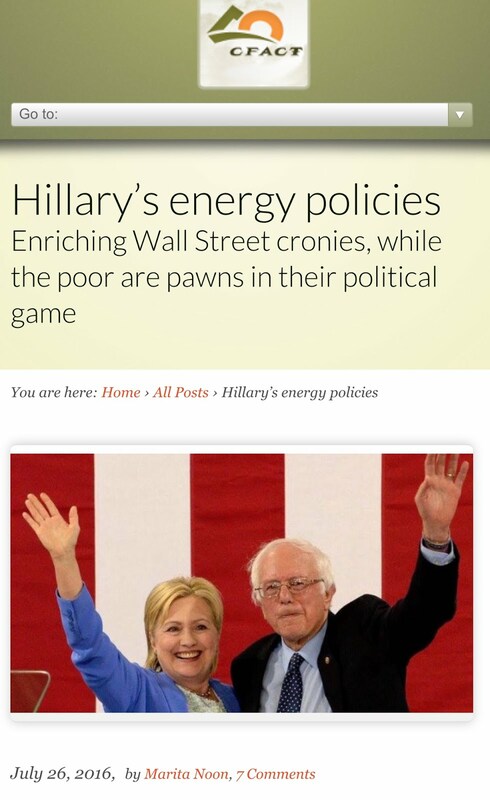 But SunPower has it’s own Green Corruption story that I shared last fall. Despite SunPower's well-known financial issues, and the fact that it was under a shareholder suit alleging securities fraud and misrepresentations, just days (September 2011) before the 1705 Loan Guarantee Program’s deadline, along with four other solar companies, its $1.2 billion loan guarantee from the DOE was approved. This $1.2 billion of taxpayer dollars went to build a 250-megawatt solar plant (the California Valley Solar Ranch in San Luis Obispo County), a project that reported it would create 15 permanent jobs, which is the equivalent of $80 million in taxpayer money for each job. SunPower never directly got the DOE cash because they sold the California Valley Solar Ranch to NRG Energy (the energy company that snagged most of the 1705 money). But SunPower is still developing the project and stands to profit if it succeeds. The March 20, 2012 House Oversight report described this project as “non-investment” grade –– part of the DOE's disastrous loan guarantee program that I have been exposing for almost a year now. 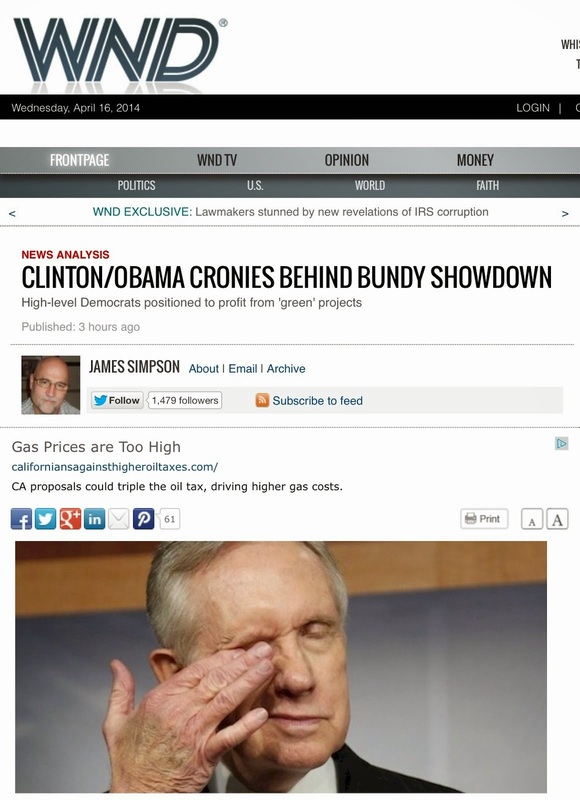 SunPower was "Twice As Bad As Solyndra" and is twice full of cronyism and corruption –– besides Citi, both SunPower and NRG Energy have meaningful political connections to President Obama and other high-ranking Democrats. Khosla Ventures is where you'll find billionaire Vinod Kholsa, who had been the head of Obama's India Policy Team during the 2008 election. 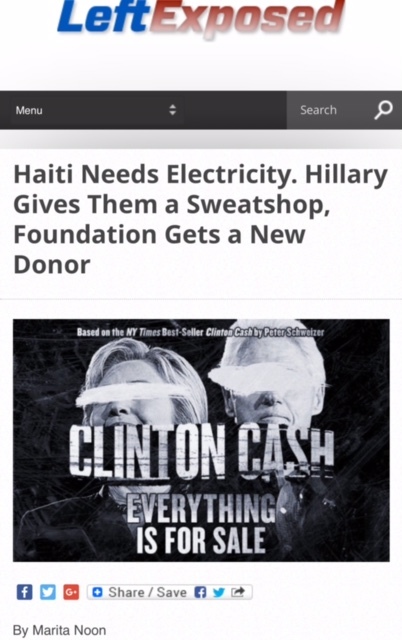 As revealed by Breitbart.com, "In October 2012, Mr. Khosla donated one million dollars to Priorities USA Action, a top liberal super PAC that backed President Barack Obama’s reelection." According to Reuters, "since 1996, Mr. Khosla has made at least $474,534 in campaign donations, 86% of which went to Democrats. Khosla’s political contributions overwhelmingly favored Democrats between 2008 and 2012, although he gave nearly equally to President Obama ($4,800) and GOP nominee Sen. John McCain ($4,600) in 2008." 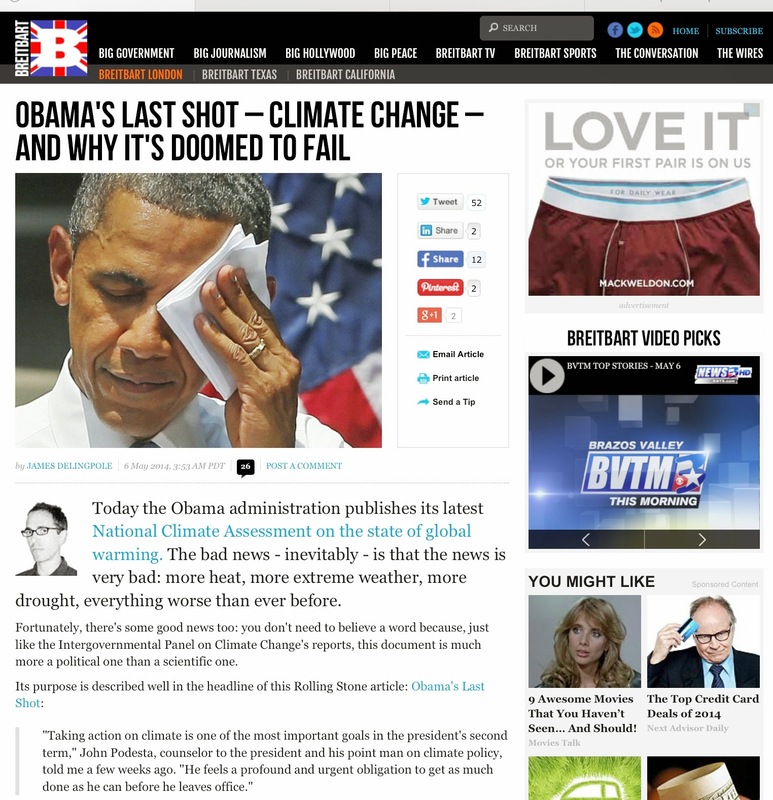 Vinod Khosla is an affiliated partner of Kleiner Perkins, a Venture Capitalists firm that I had tackled over a month ago –– Obama “climate cronies,” billionaire John Doerr and Al Gore, and KPCB collaboration with the London based Generation Investment Management –– whereas I found that they are tied to at least $10 billion of Obama's taxpayer funded green energy spending spree. Mr. Khosla happens to be another big VC winner of "green," and I've tracked at least nine so far, yet in filtering through Citi's green stash, we find that the are handling three of Khosla’s green IPO’s: Coskata, Gevo and KiOR –– thus more Khosla data is warranted. While this deal stems from the USDA and its 2008 Farm Bill –– the same USDA loan program that delivered a loan guarantee to now-defunct biofuel maker Range Fuels –– it did get a boost from the stimulus package. In a 2011 brief by the Network for Public Health Law, "Some funding levels are designated in the Farm Bill itself, while others are subject to the annual appropriations process. In 2008, the Congressional Budget Office estimated that expenditures under the Farm Bill from 2008 through 2012 would total approximately $284 billion for an average of about $57 billion per year. These expenditures increased under the American Recovery and Reinvestment Act of 2009 (“ARRA”), also known as the stimulus bill." Coskata had been operating a demonstration-scale integrated biorefinery in Madison, Pennsylvania since 2009, and while it snagged that $150 million, by July 2012 “[they] shelved its $100 million initial public offering,” reported Bloomberg, citing “Unfavorable market conditions” as the reason. Also, in the very near future we may be giving Khosla and Citi more DOD money, because Gevo, Syntroleum, and Solazyme (the latter a big Green Corruption story too) are already on the inside track. “Recipients of the first grants under the Advanced Drop-In Biofuel Production Project will receive about $6 million in March. 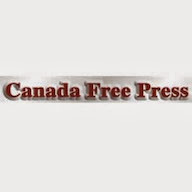 In the program’s second phase nine months later, as many as three companies will share as much as $180 million to help fund commercial production facilities." Meanwhile, KiOR attempted to get a stimulus-funded loan guarantee but last year requested that DOE put its application on hold. KiOR did succeed in extracting a $75 million loan [in August 2010] from the State of Mississippi to build five “renewable” crude oil production facilities." According to USA Today in late November 2011, "KiOR, which is developing wood-based ethanol substitutes, deferred its application for a $1.1 billion guarantee to finance refineries in Mississippi until 2012, although the program's funding is in limbo." The article continues, "It may never close," Vinod Khosla, a VC who controls a 72% voting stake in KiOR, said in a September interview with The Daily," KiOR went public in June , after winning a tentative loan-guarantee commitment, making an eleven fold gain on pre-IPO shares. "If you can get an (ExxonMobil) or a Chevron to work with you, why go through the federal government?" KiOR held an IPO in the summer of 2011, which was a blockbuster win for the company’s investors back then on paper, however, in January Gigaom.com, gave an interesting analysis, "The perils of cleantech investing: KiOR & the long term, high risk view: an in-depth look at KiOR’s IPO and why its pre-IPO investors are still waiting for the big payday." 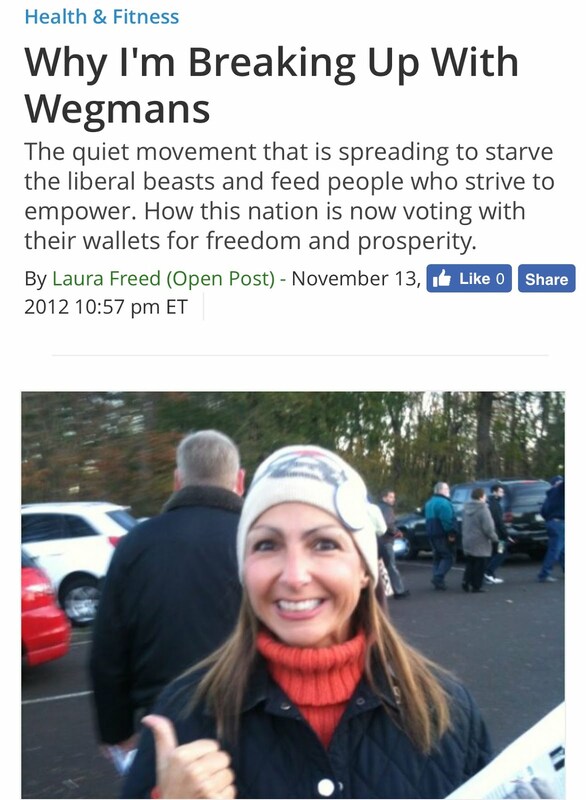 Yep, as we drown in debt, we are "spreading the wealth to the wealthy" –– those with access and influence. 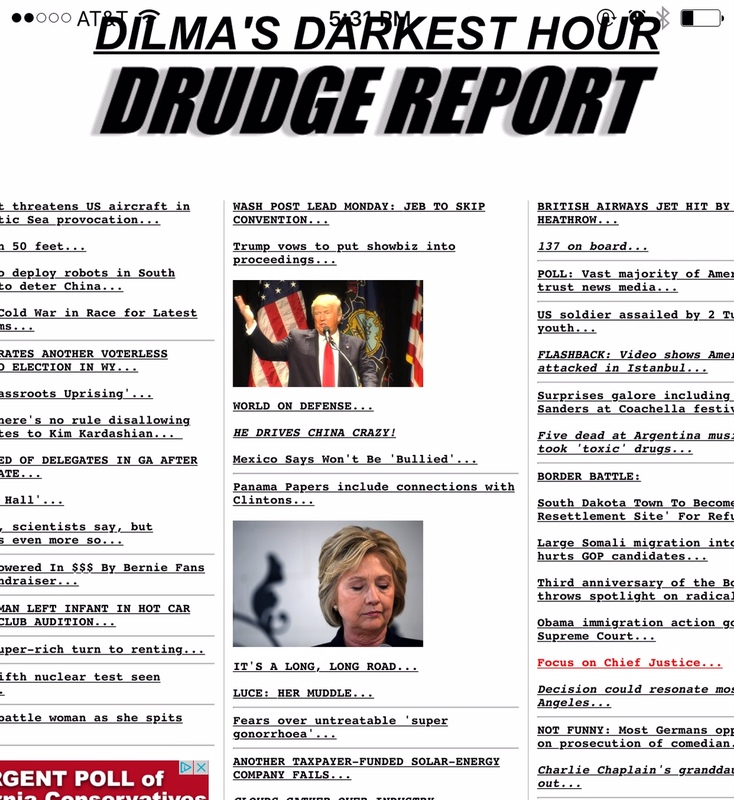 Insanity at best, corruption at its worst. But many on the left don't care about our debt, and actually, instead of doing the right thing by cutting expenses, they are comfortable (at least publicly) with raising taxes...oh they say on the rich. With Taibbi's new model for this Democratic Party in mind, "Let the rich do their thing, but give a fraction more to everyone else..." it reminds me that the rich are getting wealthier on the backs of taxpayers (the everyone else), more specifically through President Obama's green agenda. Let's start by demolishing corporate welfare and crony capitalism, while destroying any form of political payback, especially the insult of our government giving billions of tax dollars to millionaires and billionaires for their pet projects. But since the Obama administration is in bed with Wall Street as well as big Venture Capitalists and Big Energy –– all getting their fare share from the Green Bank of Obama, we can only anticipate more of the same... actually worse. 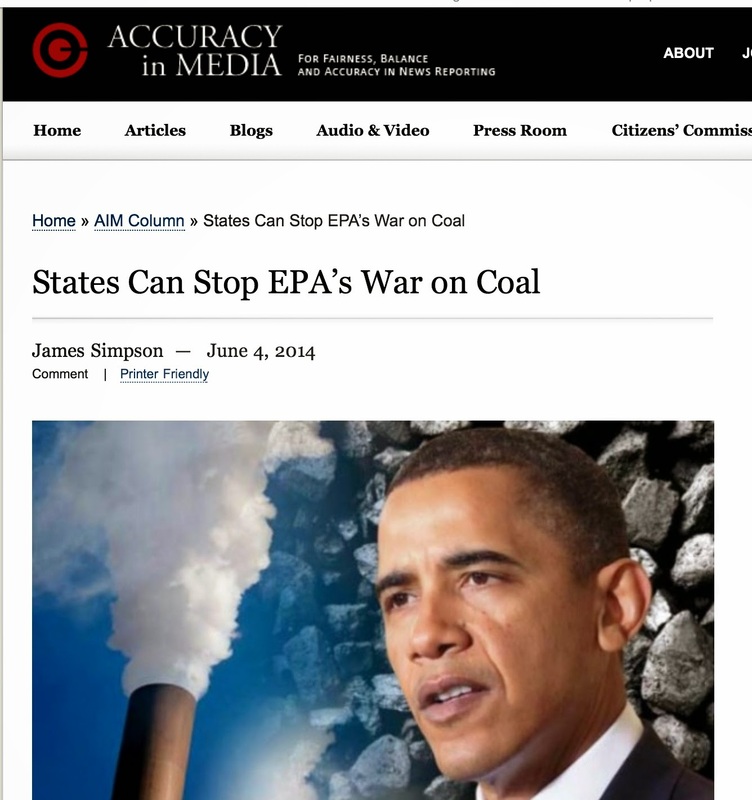 In case you think that this is old news, not worthy of attention, you best think again –– Obama has made it perfectly clear that his radical and expensive energy agenda is not going away. In an interview for TIME’S Person of the Year award, President Obama said "the economy, immigration, climate change and energy would be at the top of his agenda for the next four years." 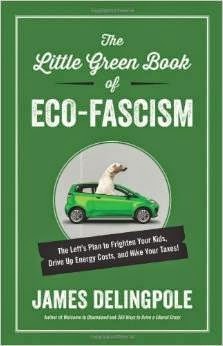 Finally, just last month during President Obama's State of the Union –– a laundry list for the left –– included the president threatening that if Congress fails to act on “climate change,” he will resort to his normal dictatorship-type modus operandi by going around Congress, this time using our children as the scapegoat. “For the sake of our children and our future, we must do more to combat climate change,” he said. 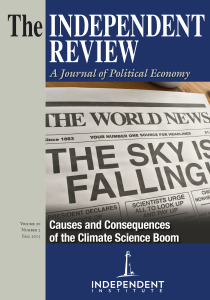 Mr. Larry Summers is also a carbon tax pusher (like most inside the Obama administration), of which Citi’s Environmental Markets unit already "engages in carbon trading under the frameworks of the Clean Development Mechanism, Joint Implementation and EU Emission Trading Scheme." And we know that for many of these BIG green players, cap-and-tade is the real pot of gold at the end of the climate rainbow. This was the final installment of "Spreading the Wealth to Obama's Ultra-Rich Jobs Council."